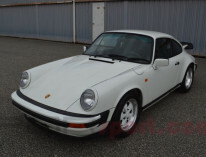 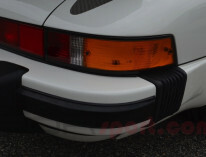 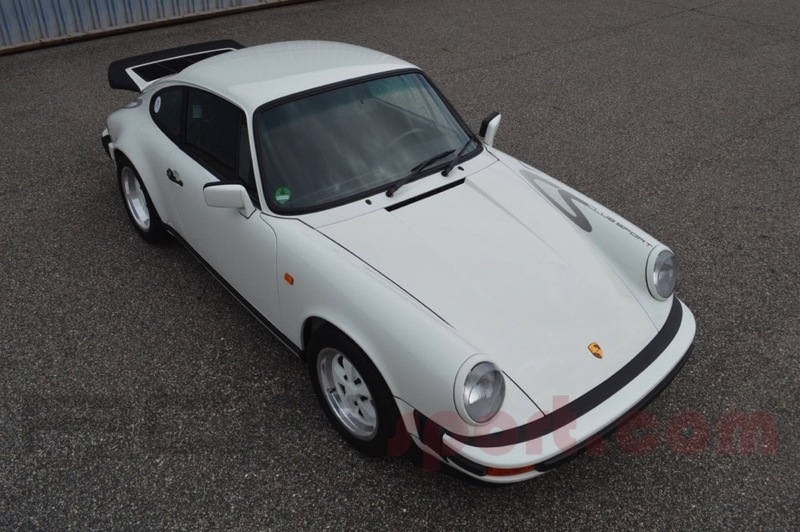 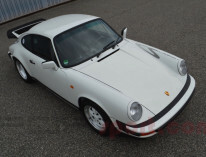 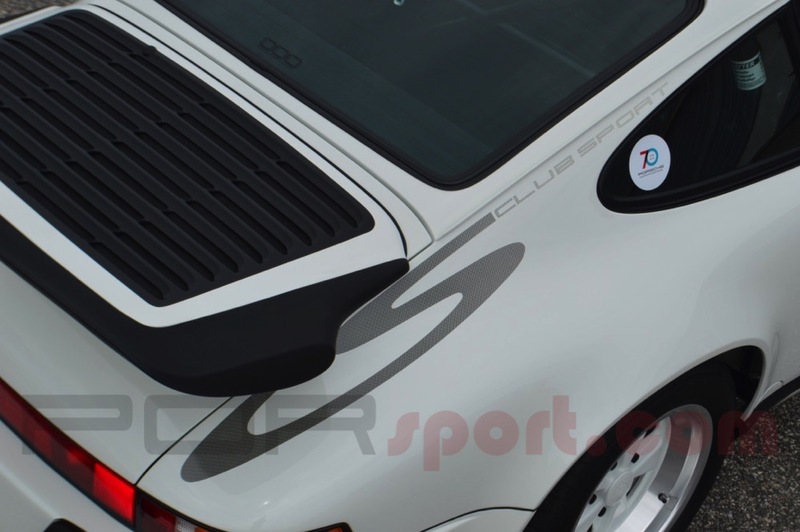 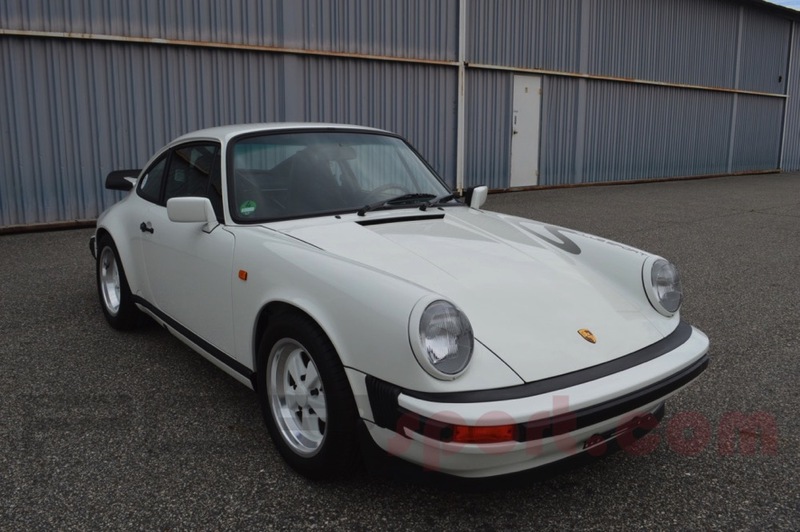 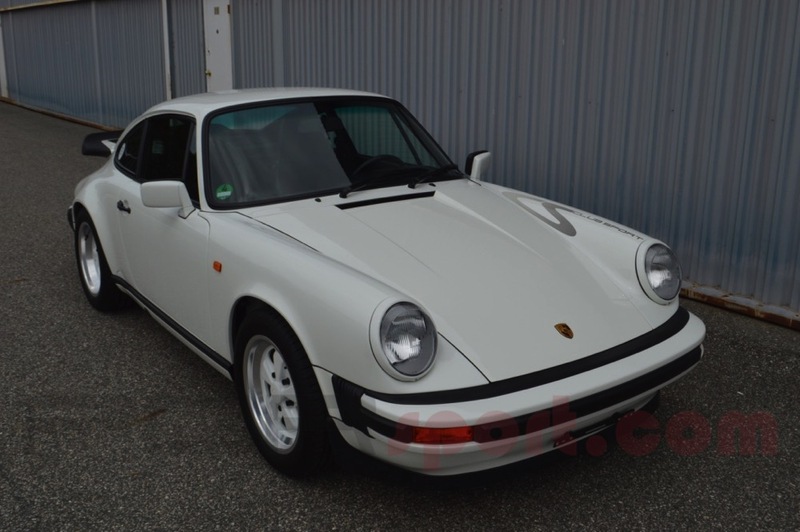 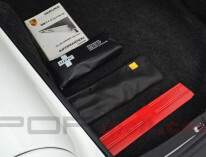 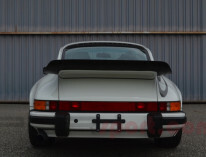 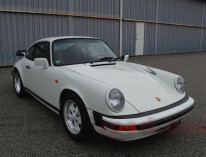 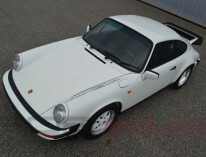 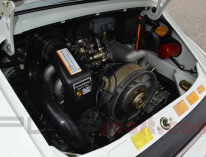 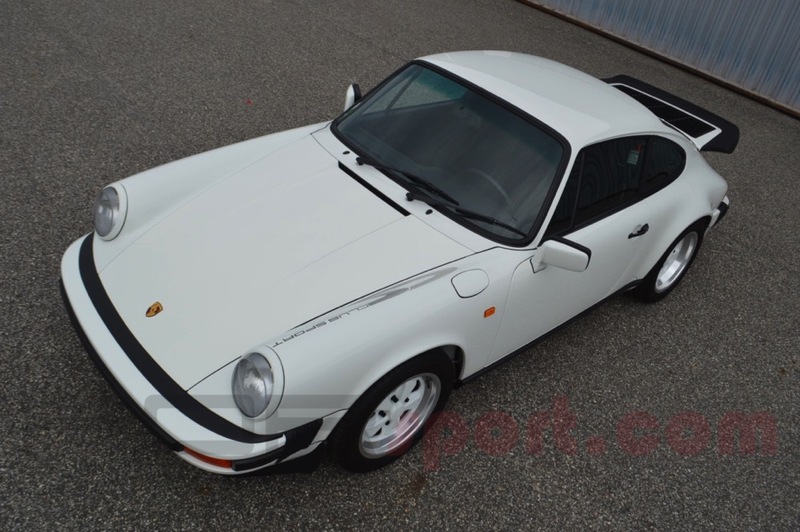 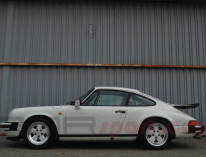 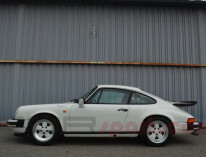 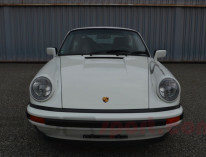 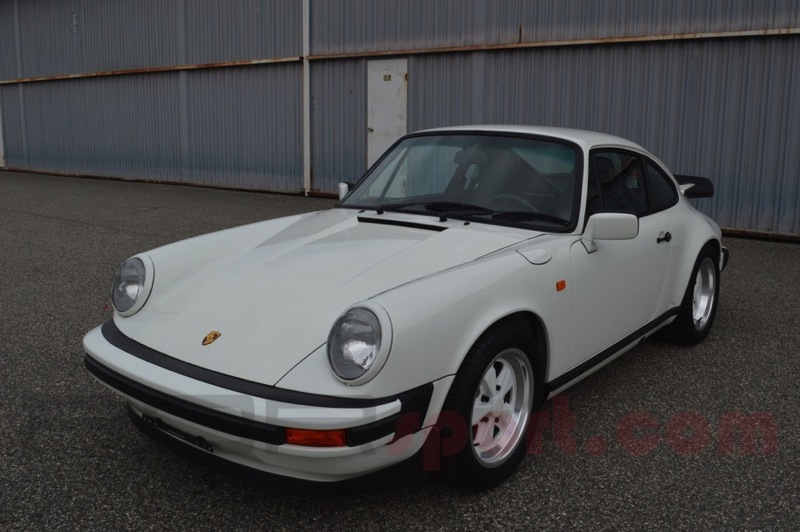 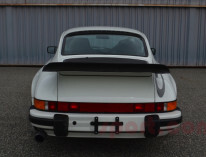 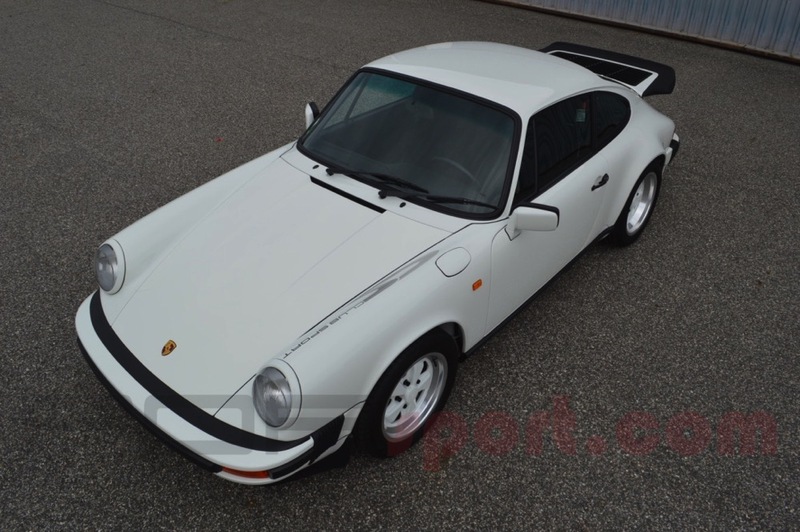 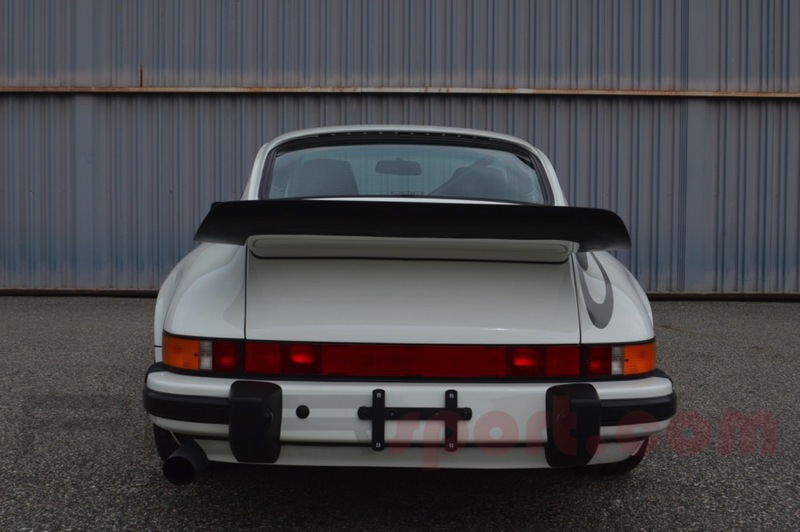 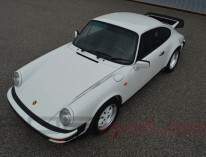 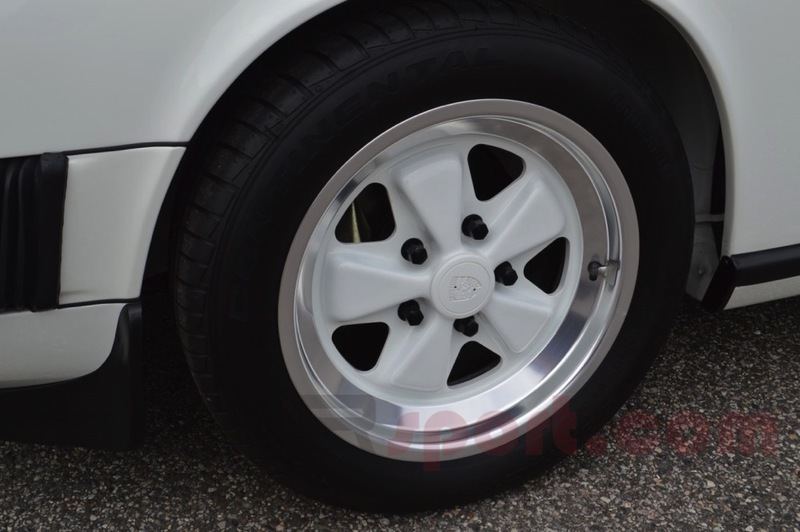 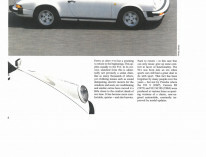 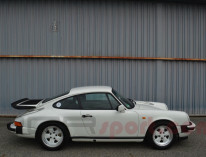 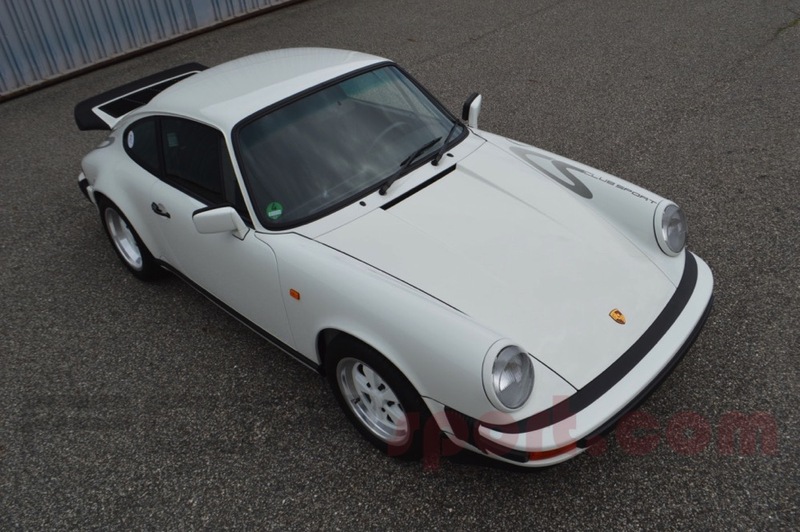 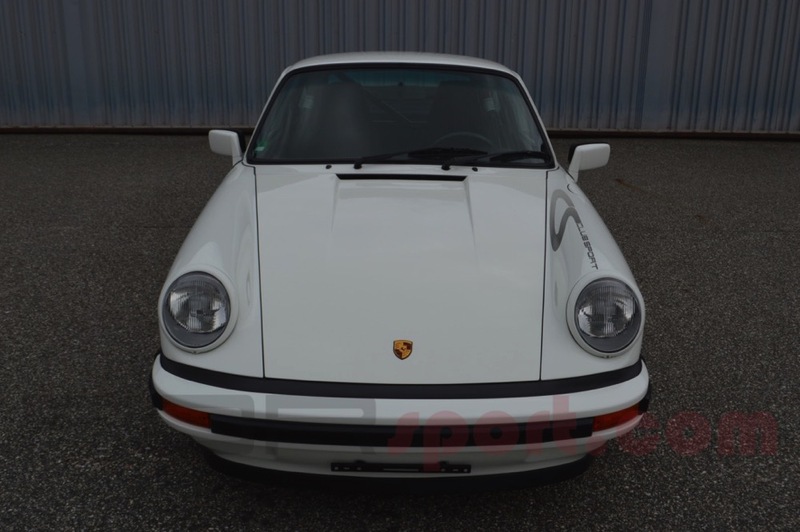 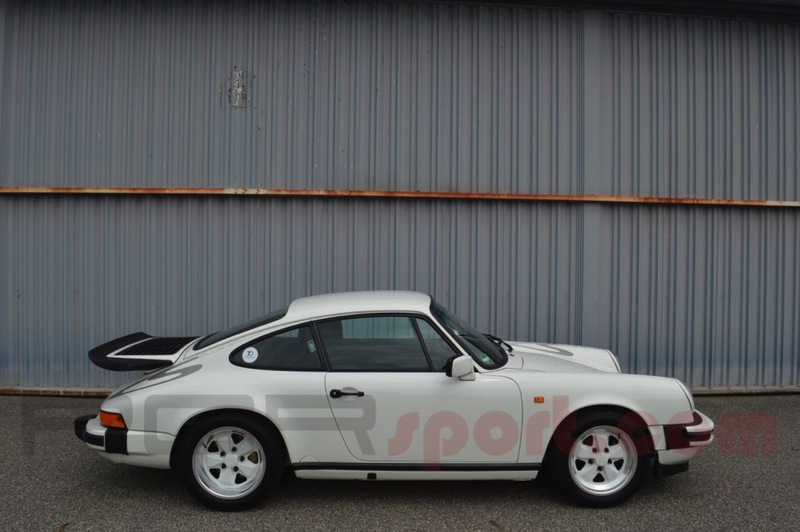 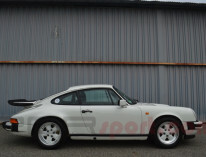 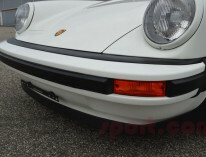 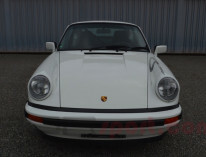 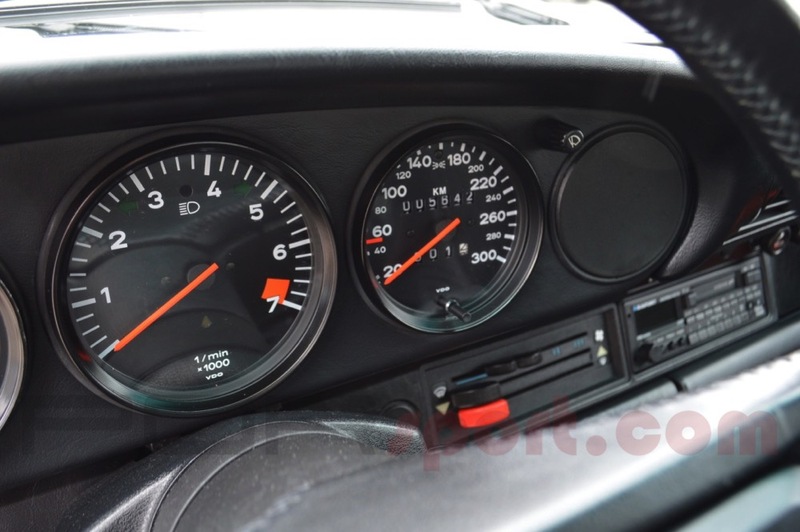 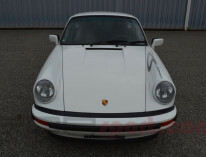 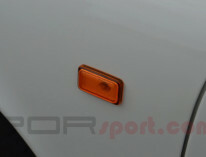 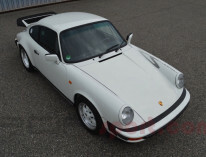 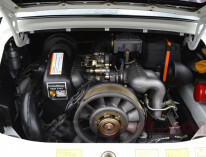 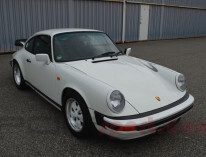 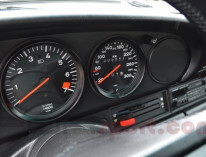 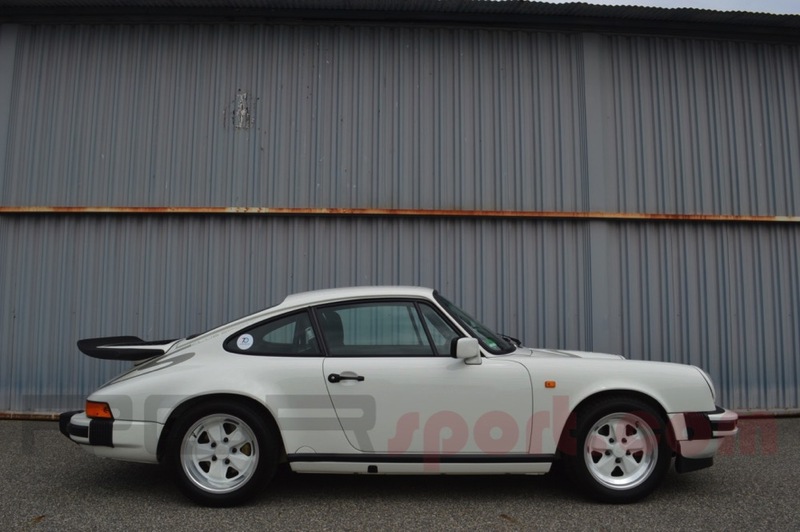 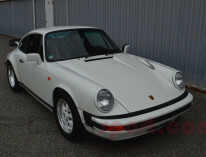 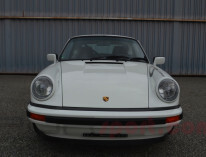 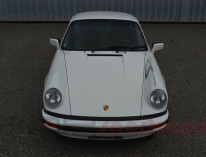 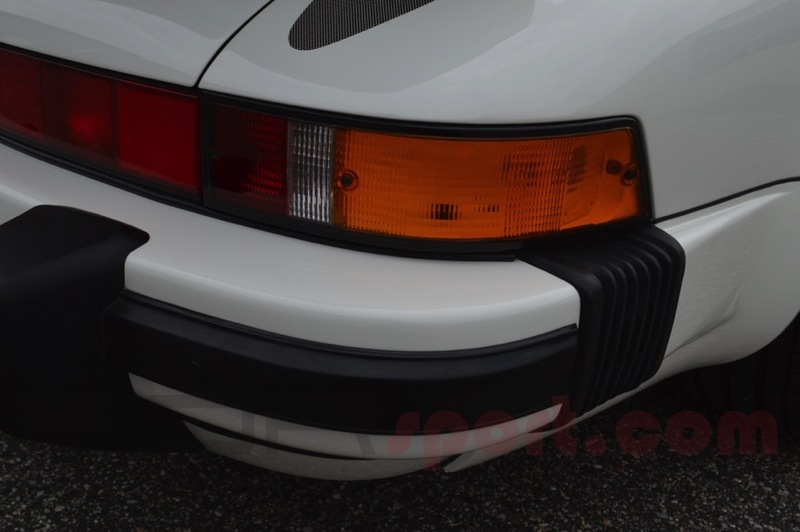 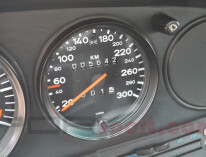 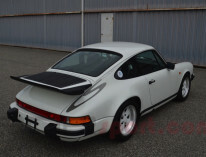 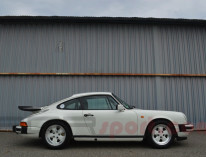 Just one of 340 Carrera Club Sports produced for the world from 1987-1989. 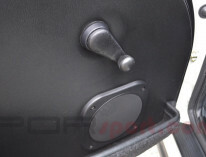 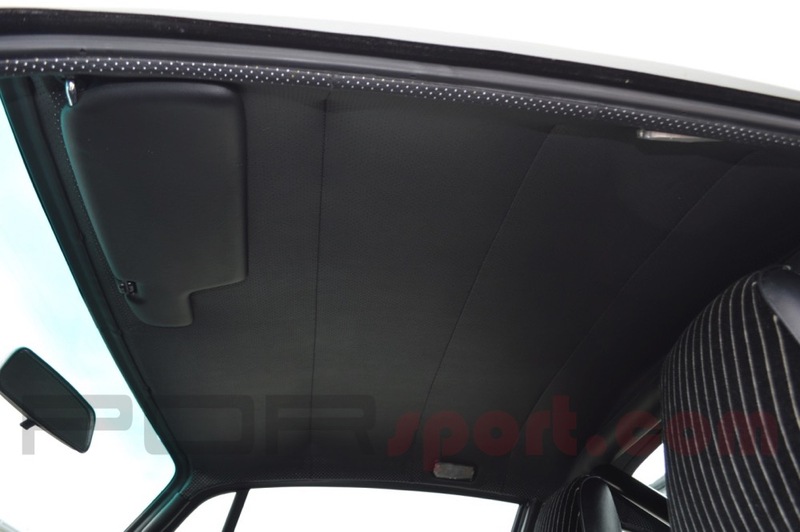 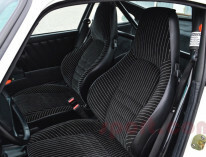 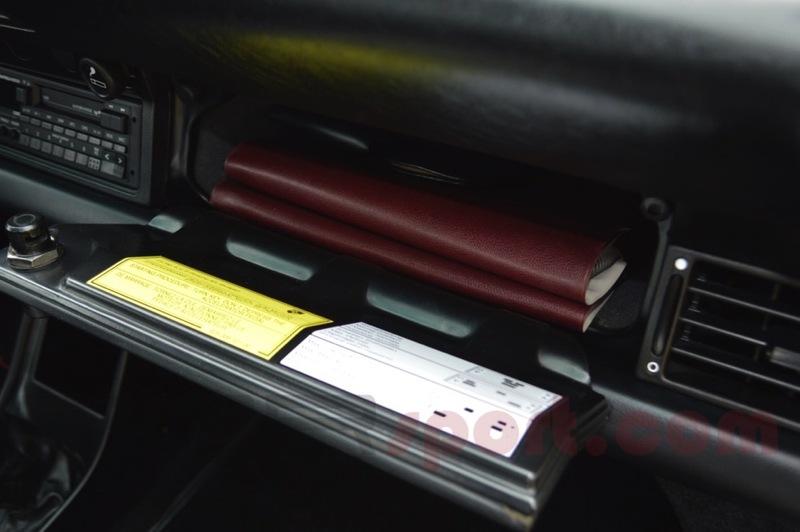 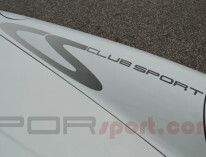 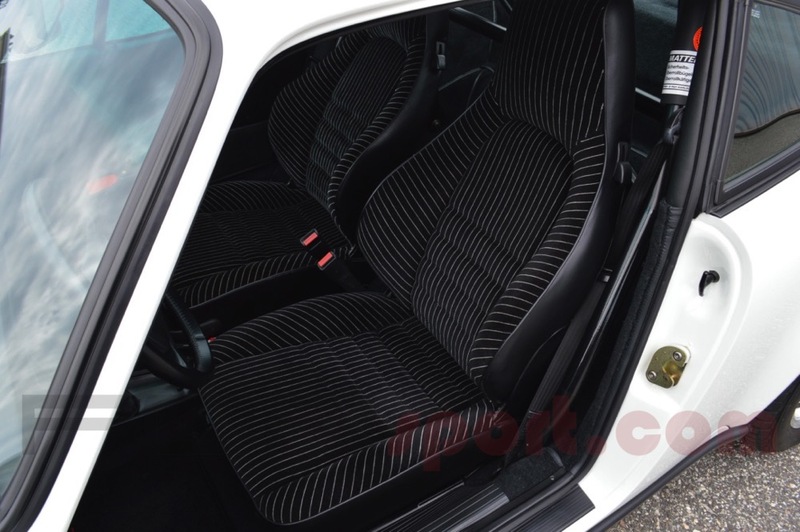 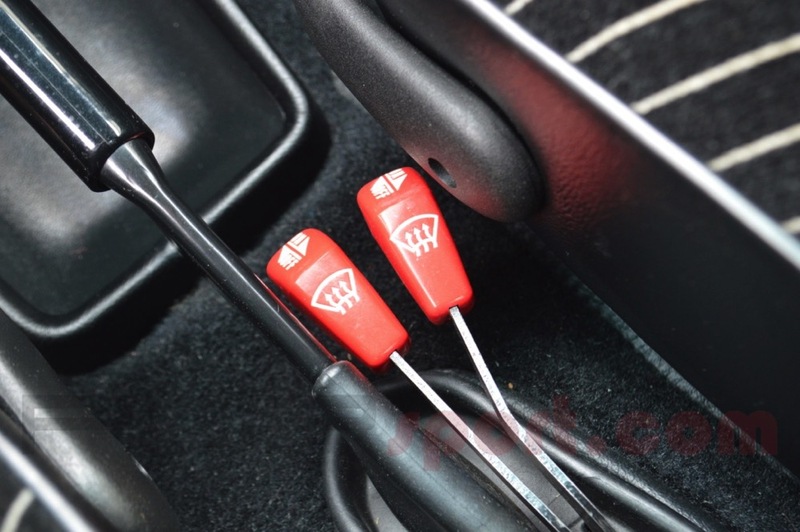 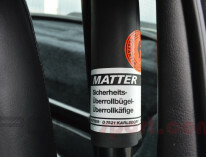 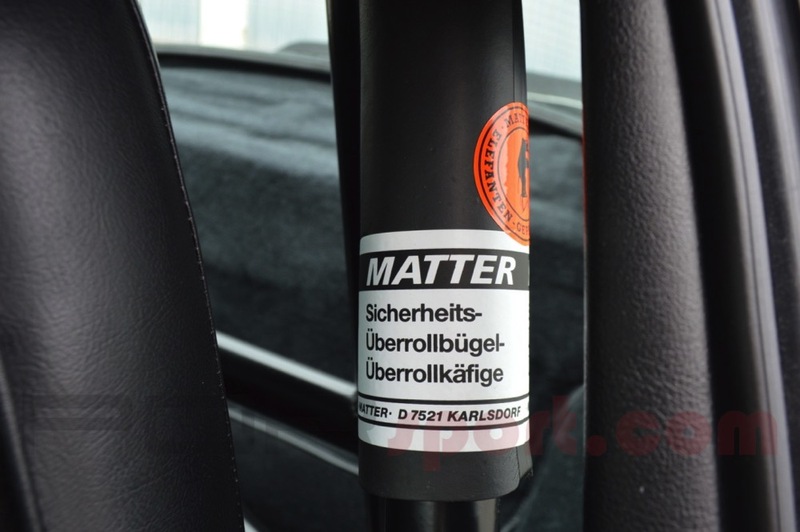 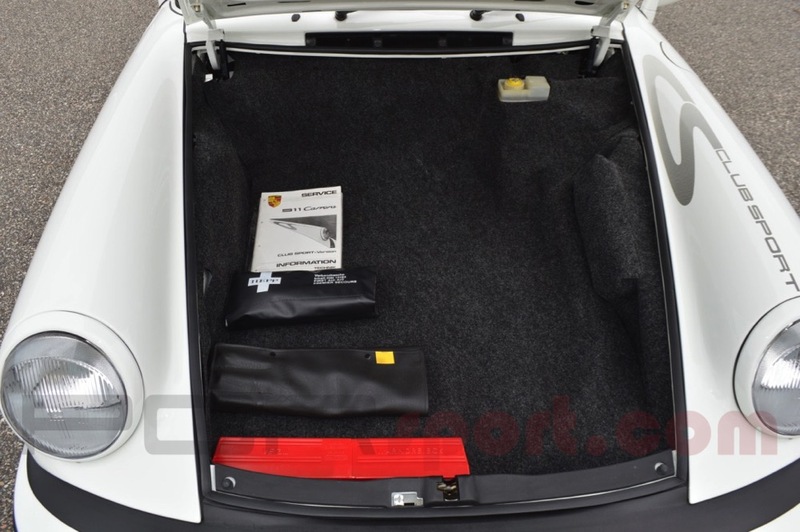 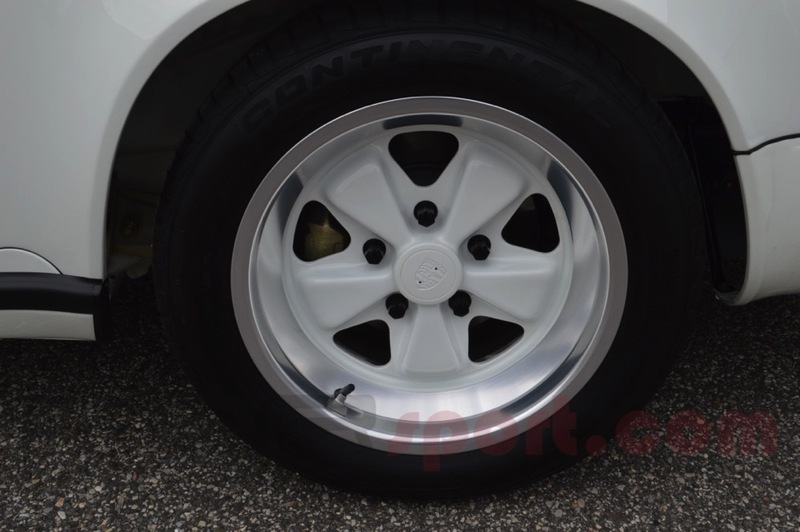 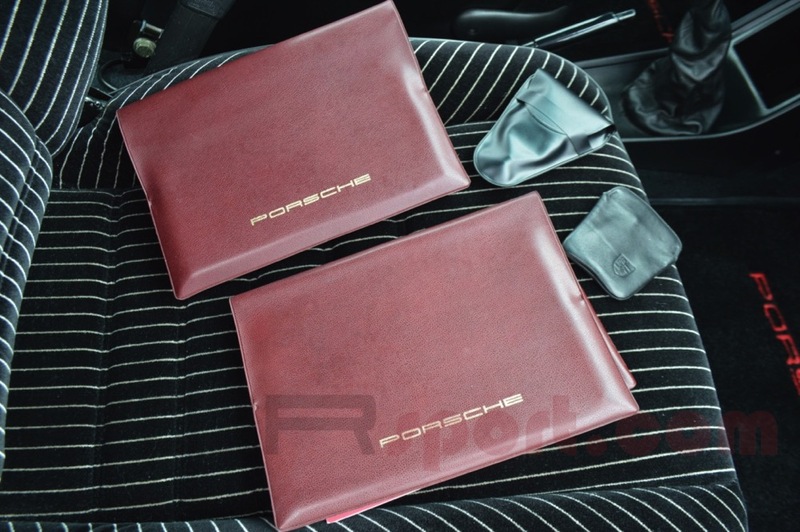 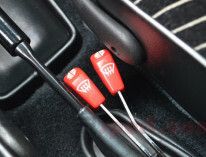 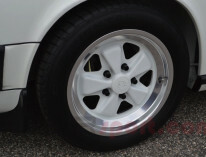 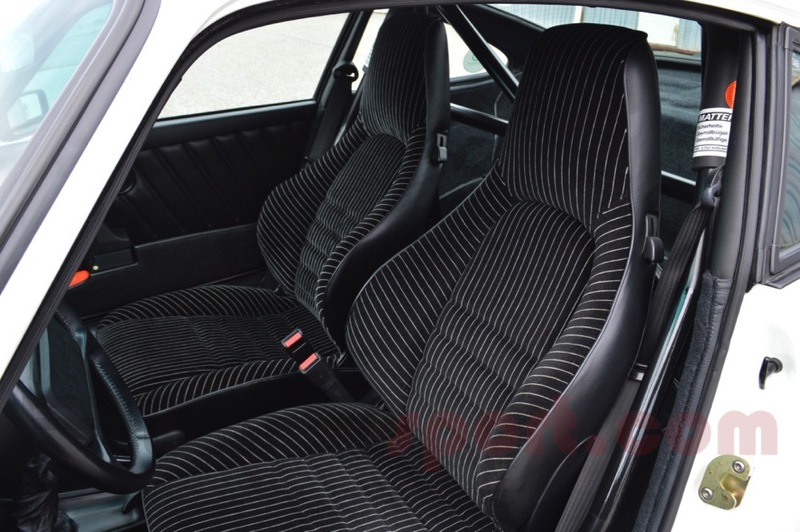 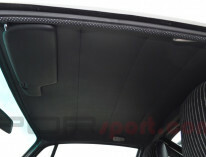 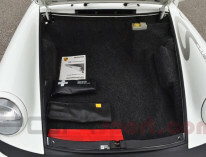 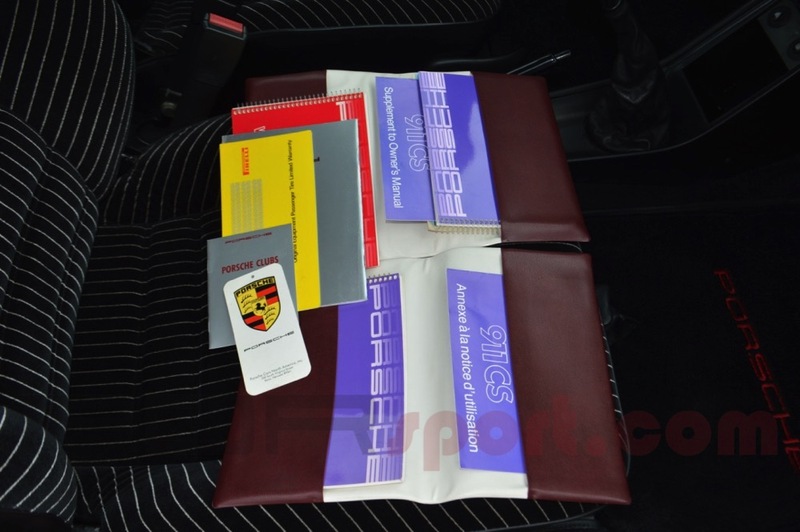 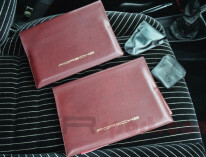 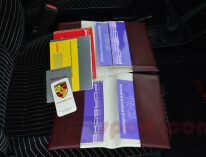 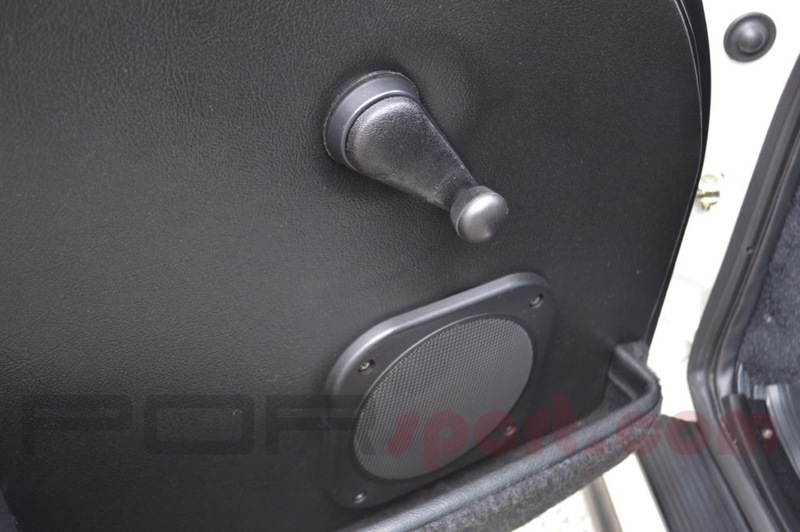 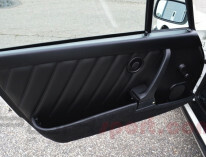 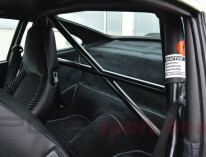 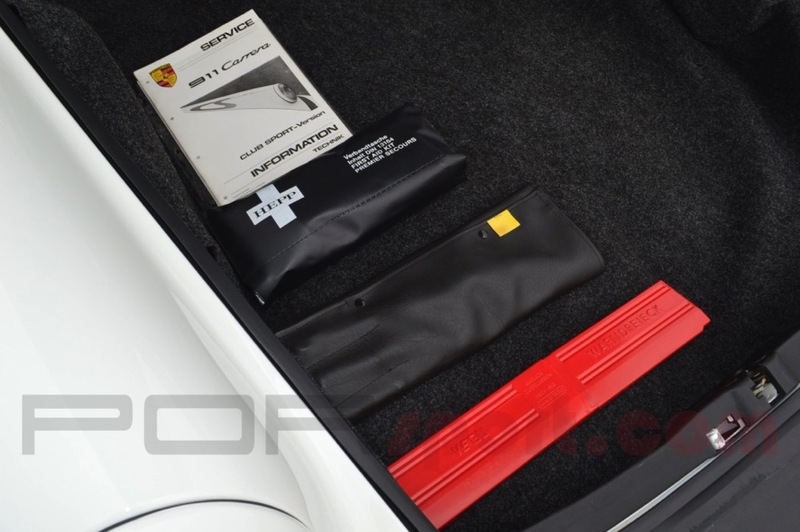 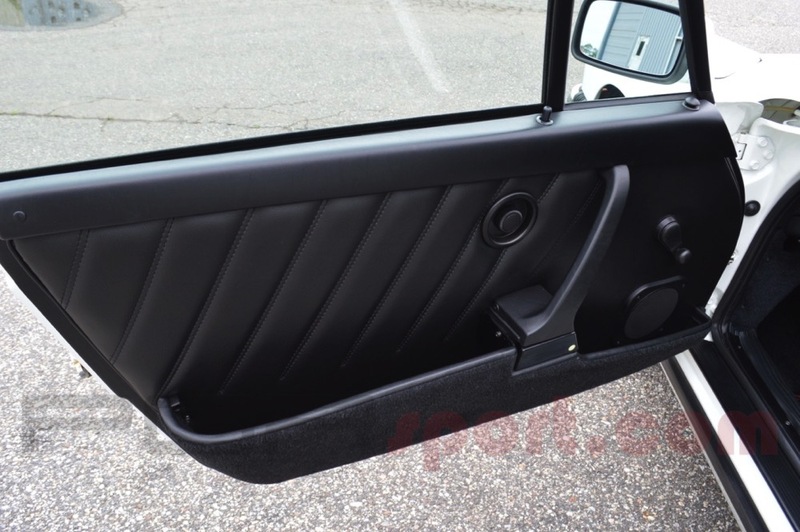 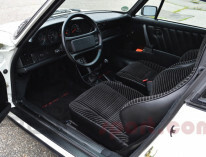 This is a German Version in true Club Sport form devoid of any undercoating or sound deadening. 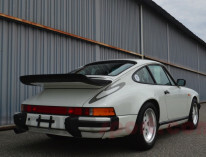 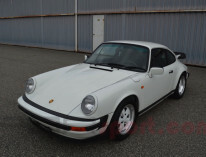 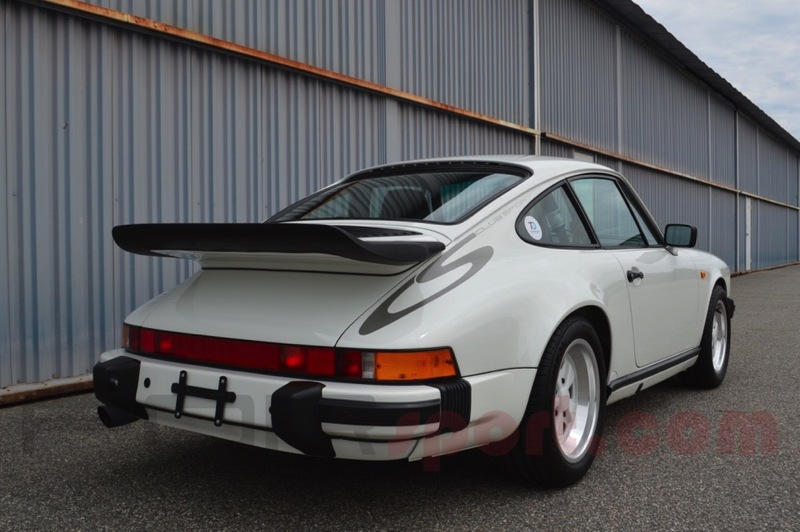 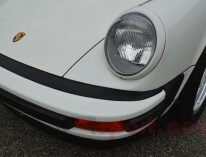 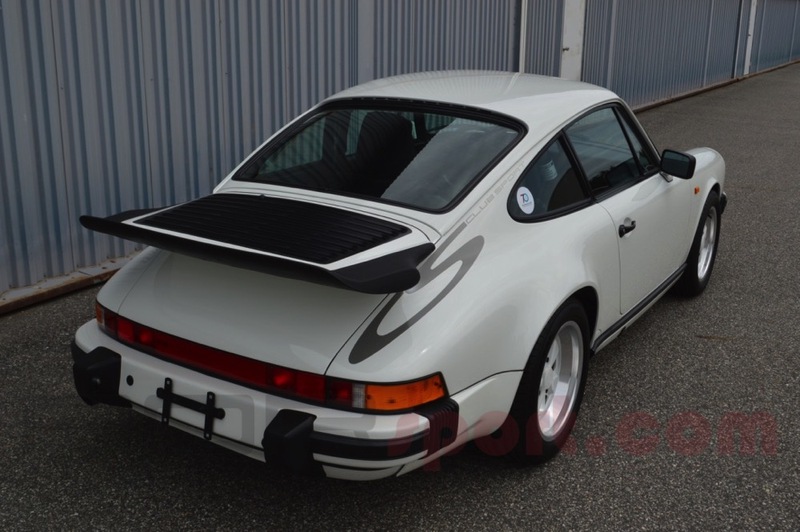 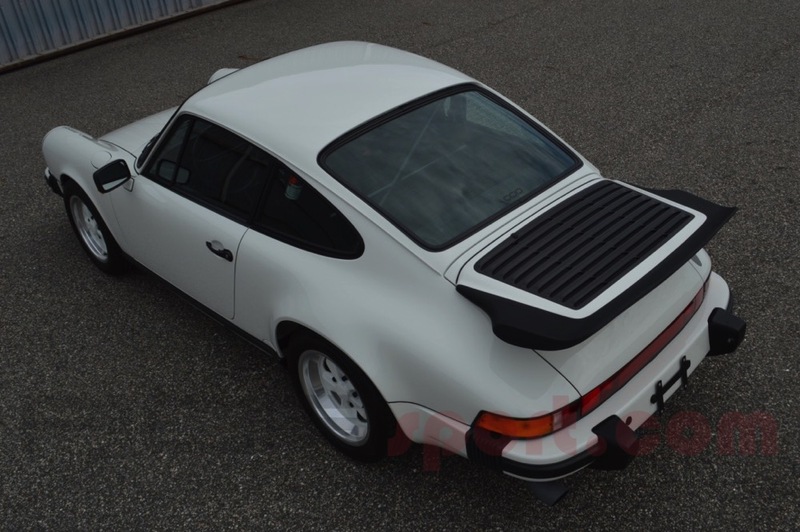 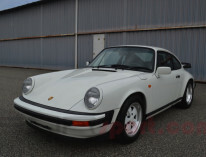 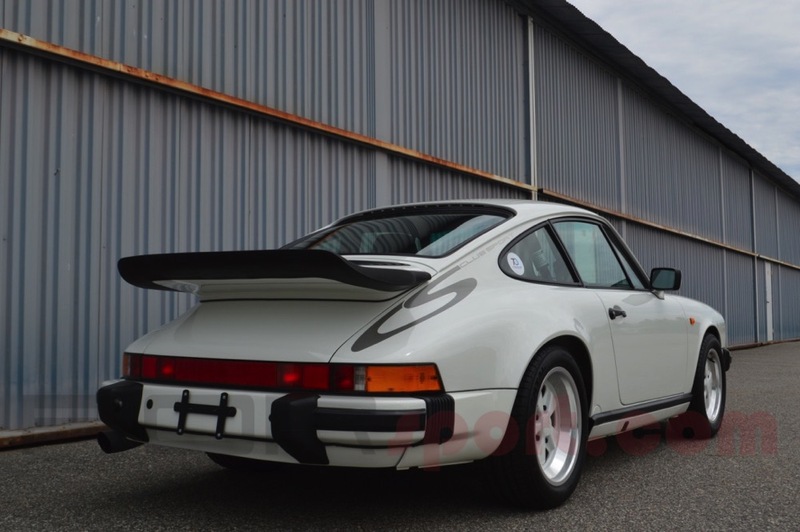 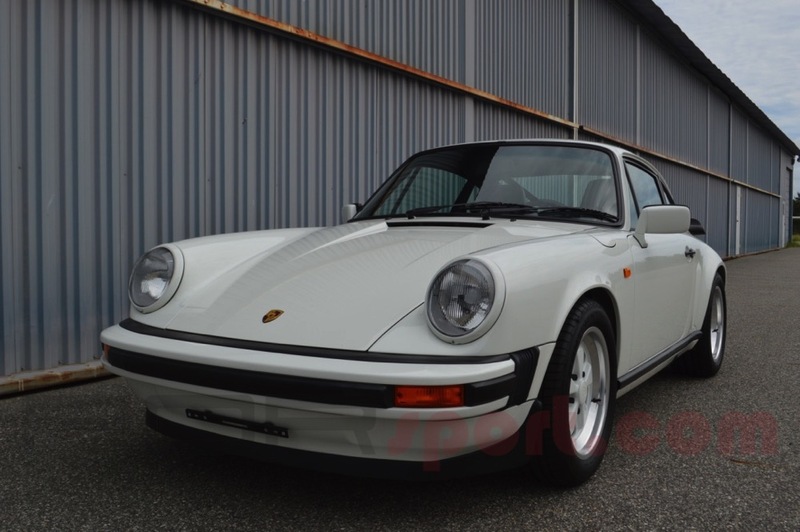 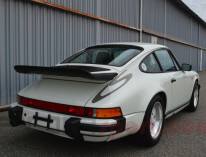 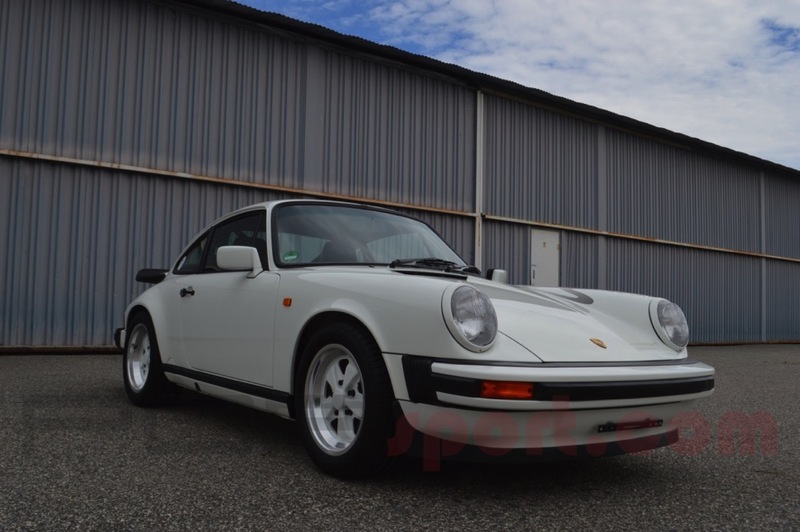 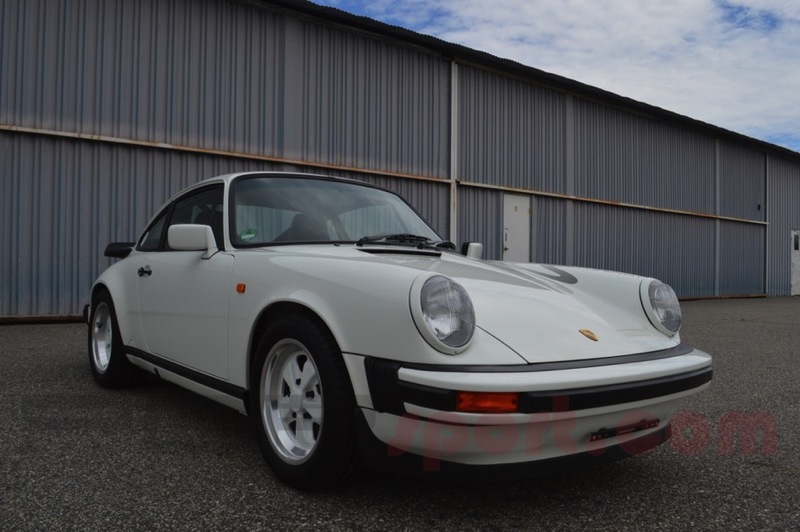 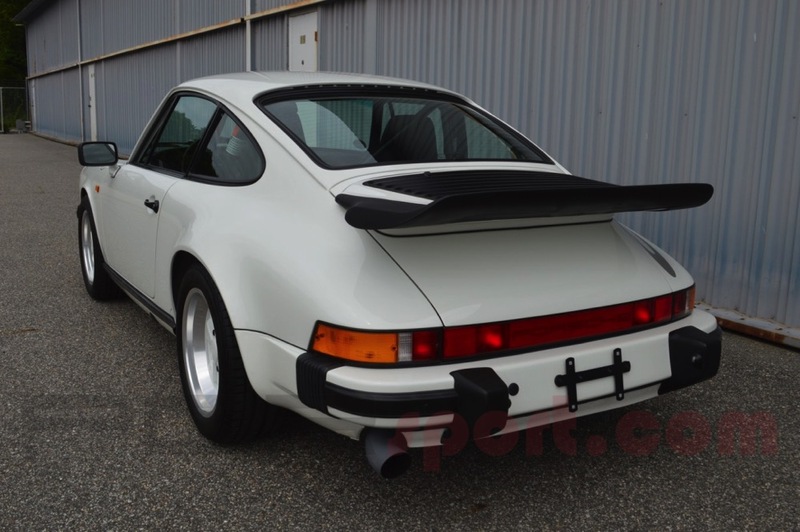 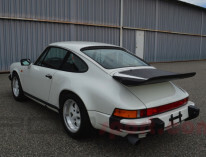 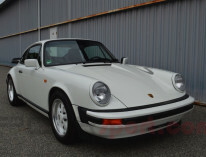 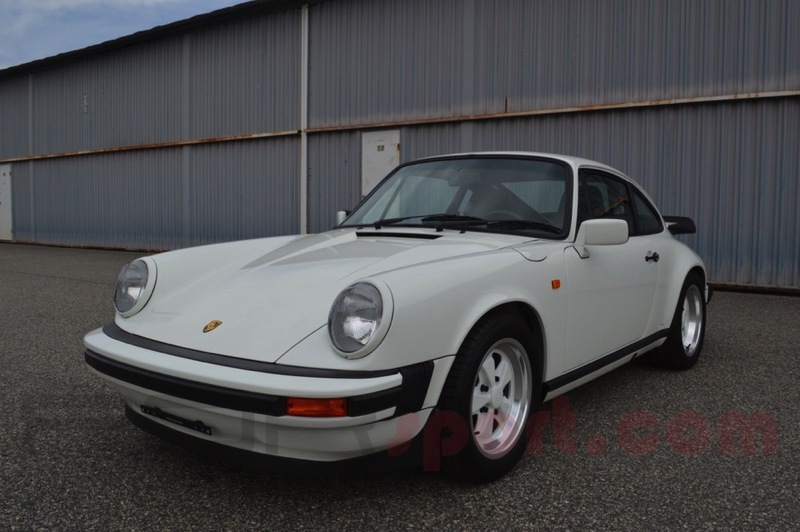 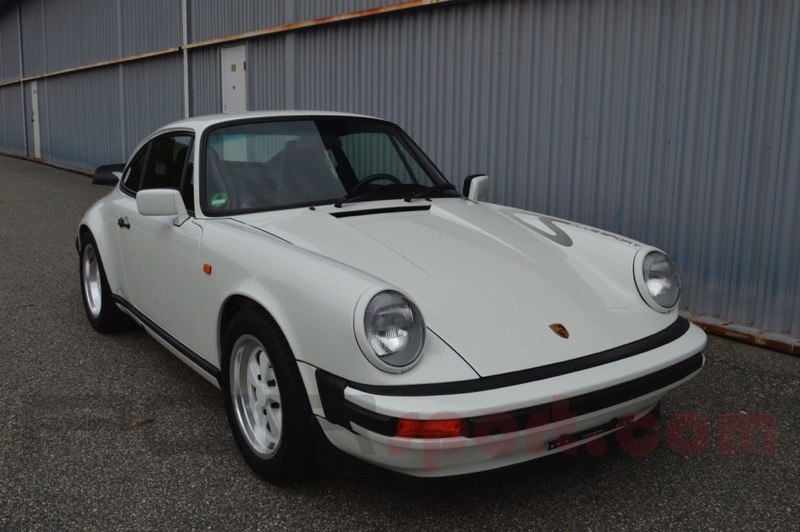 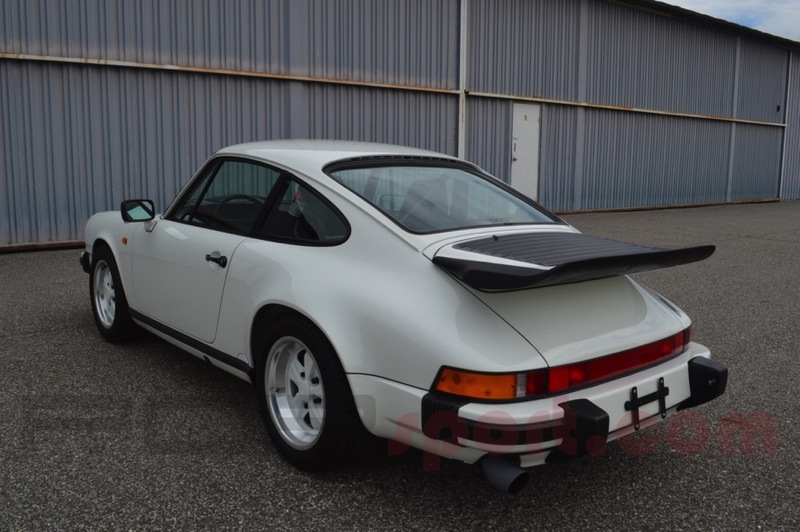 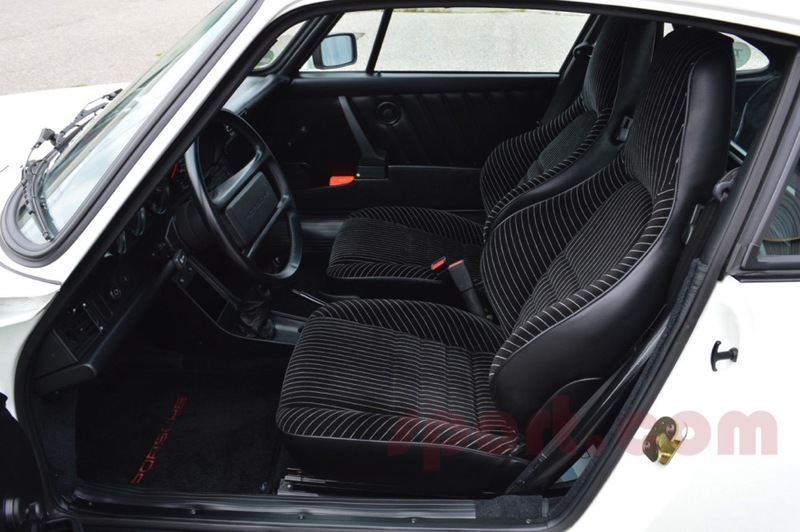 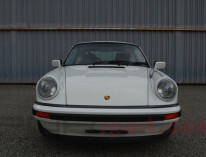 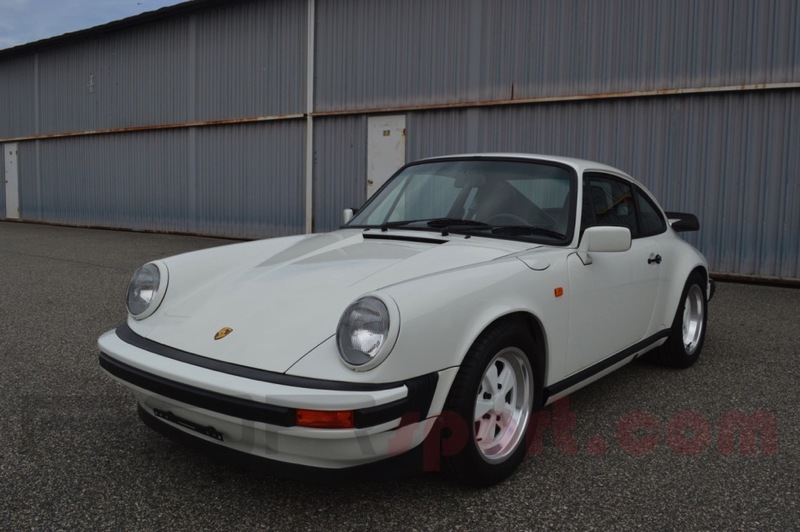 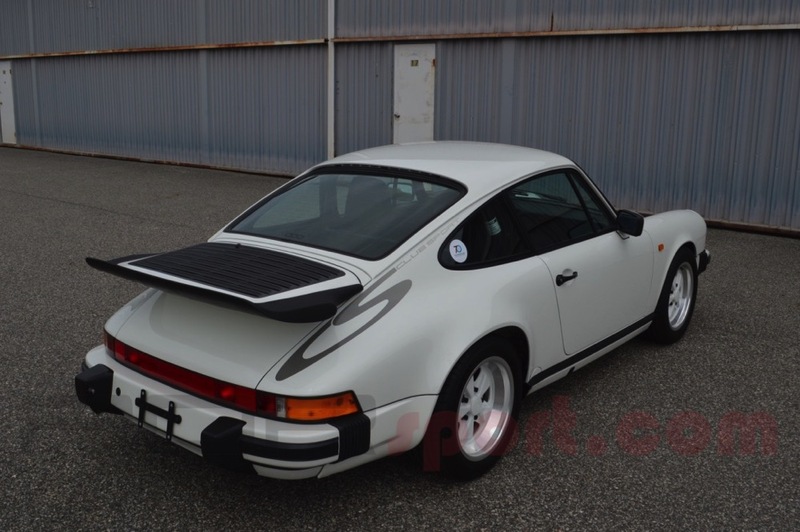 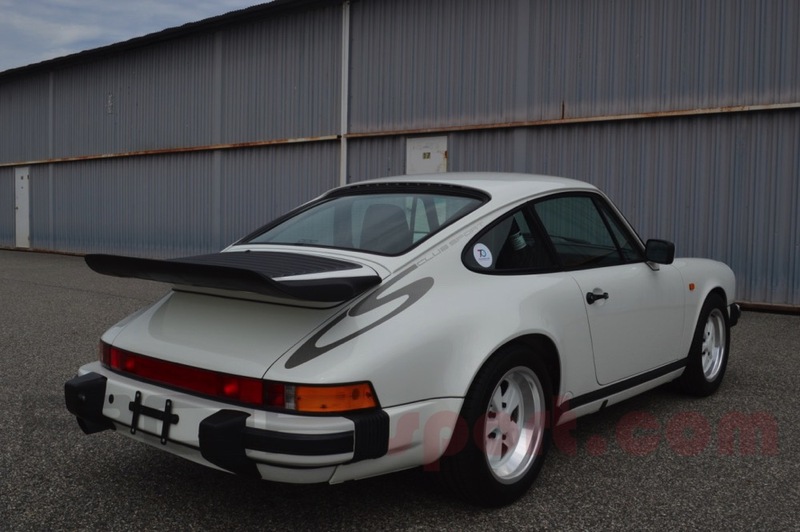 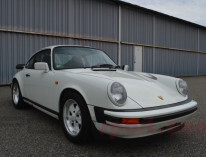 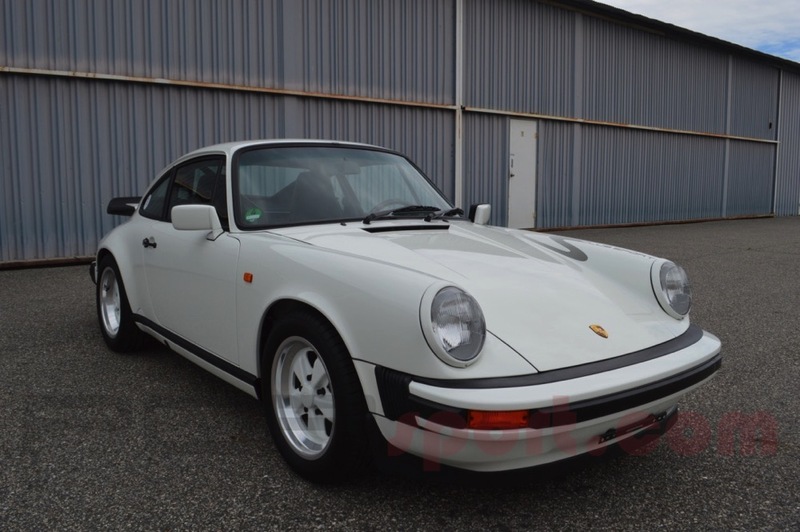 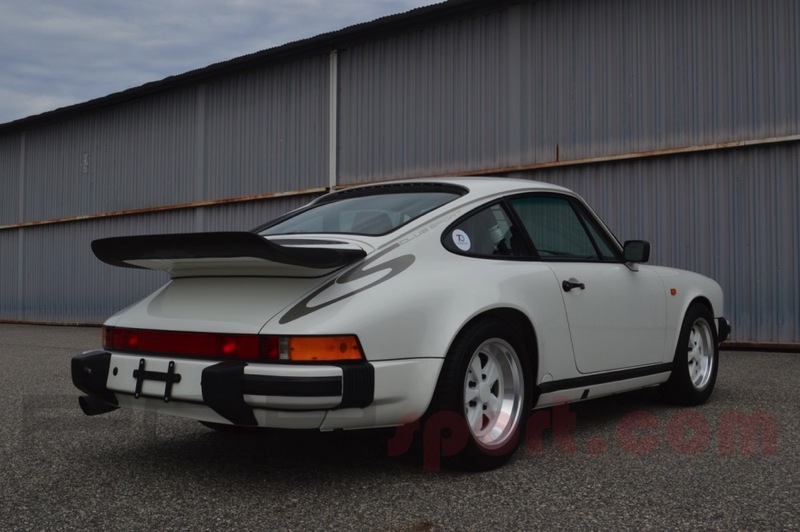 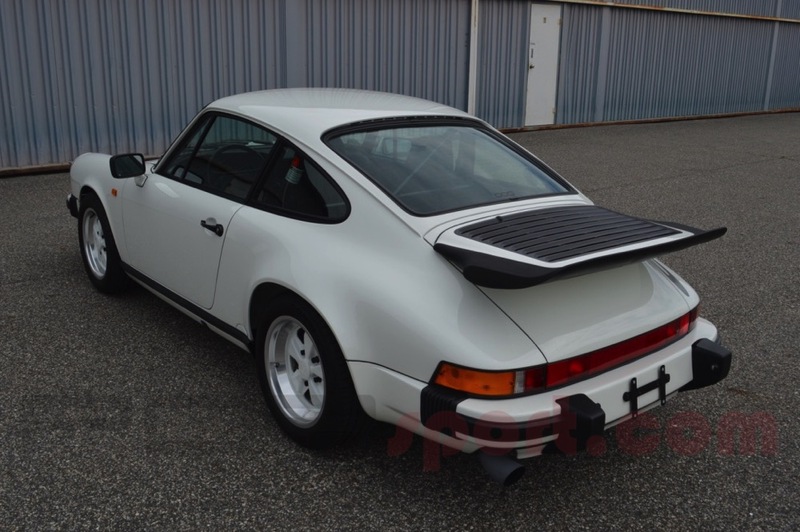 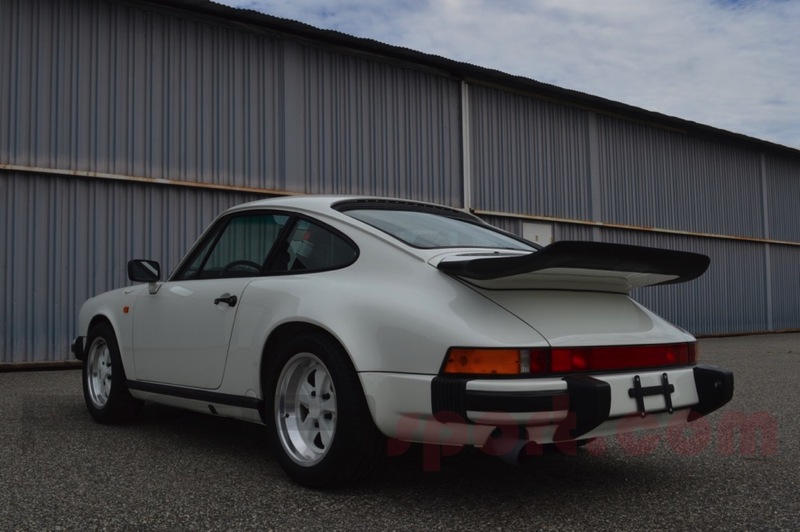 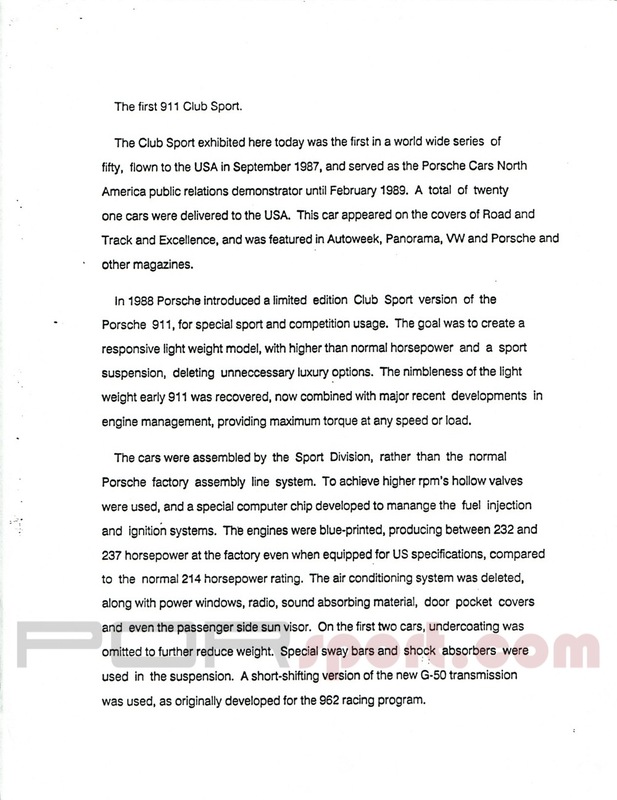 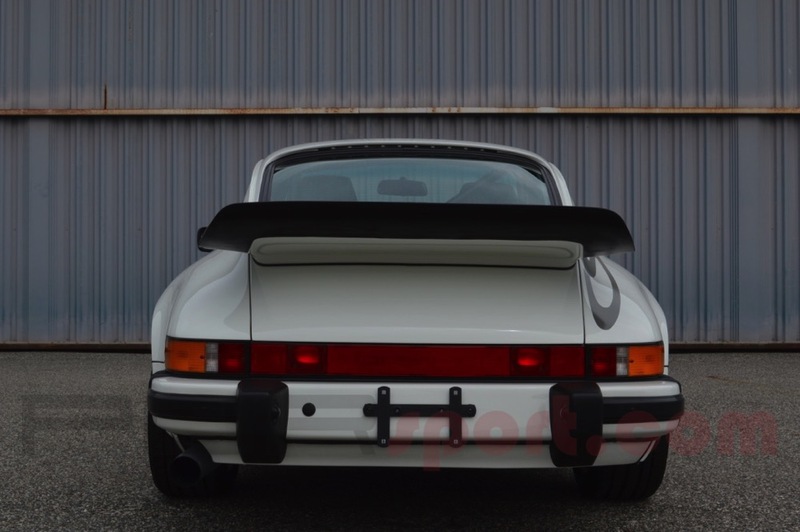 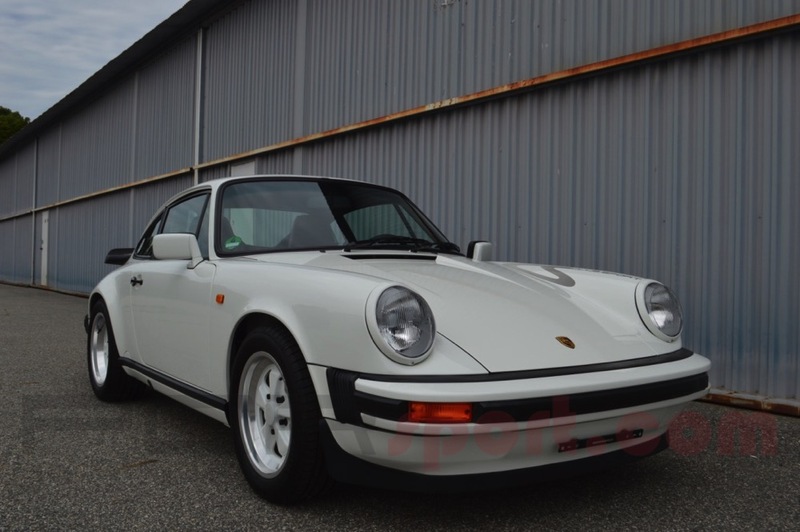 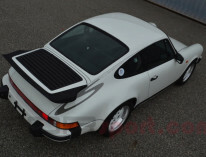 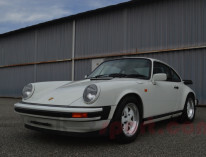 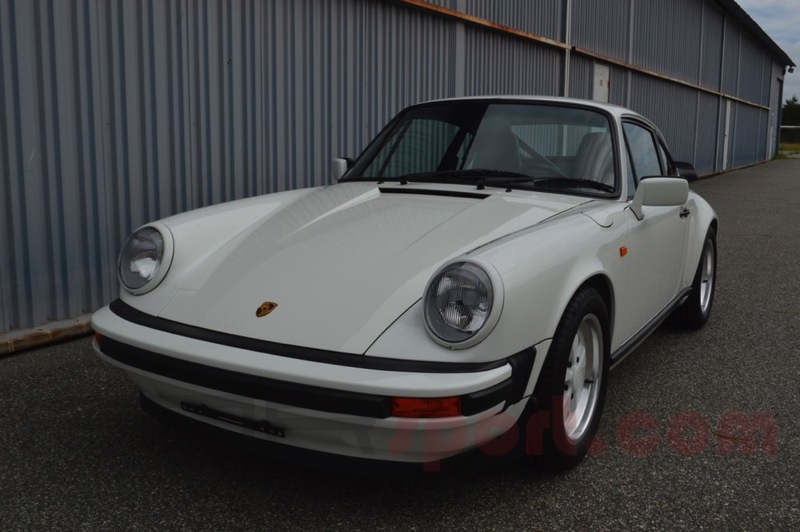 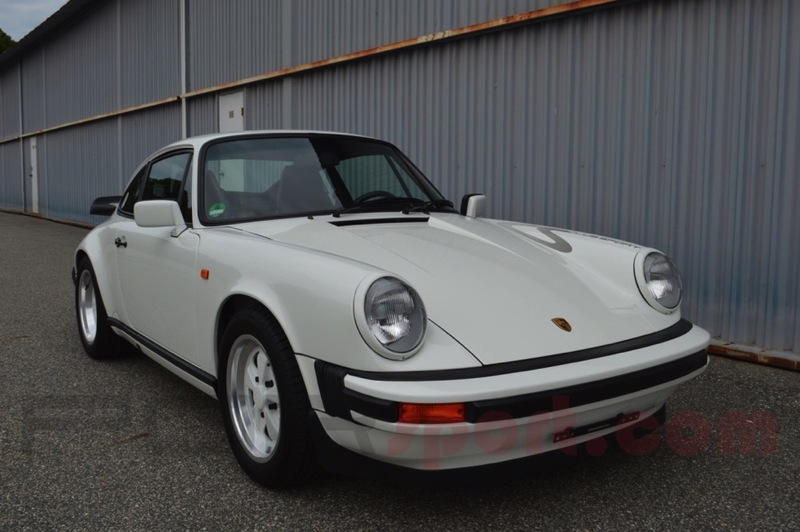 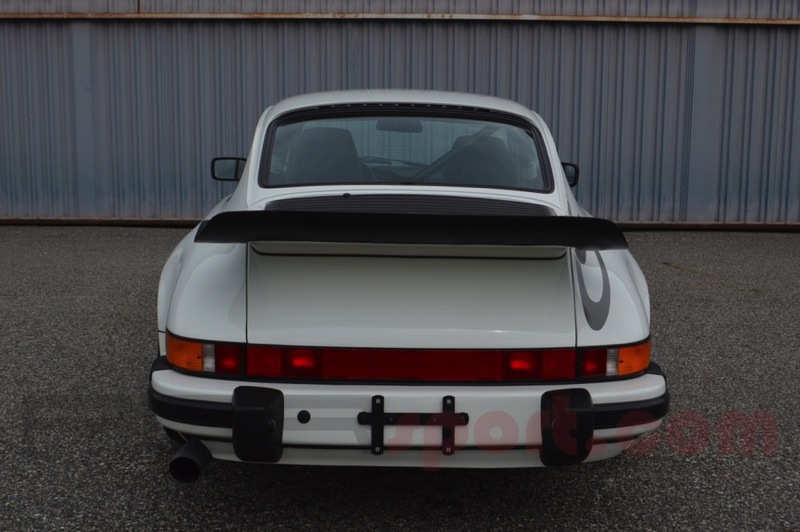 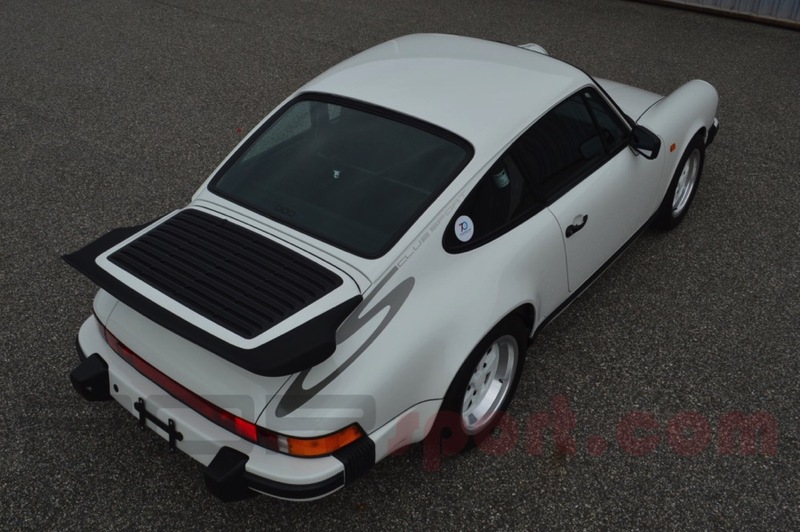 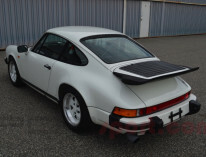 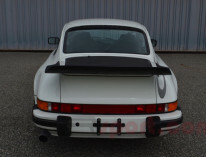 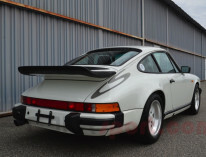 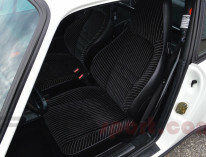 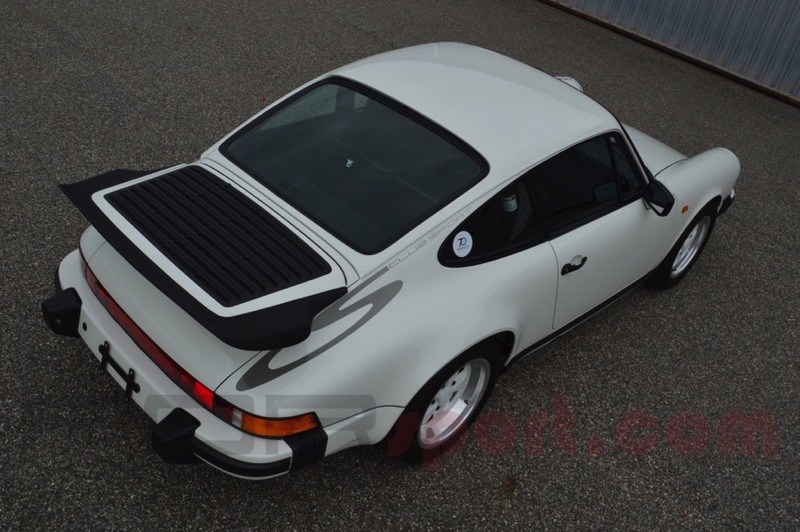 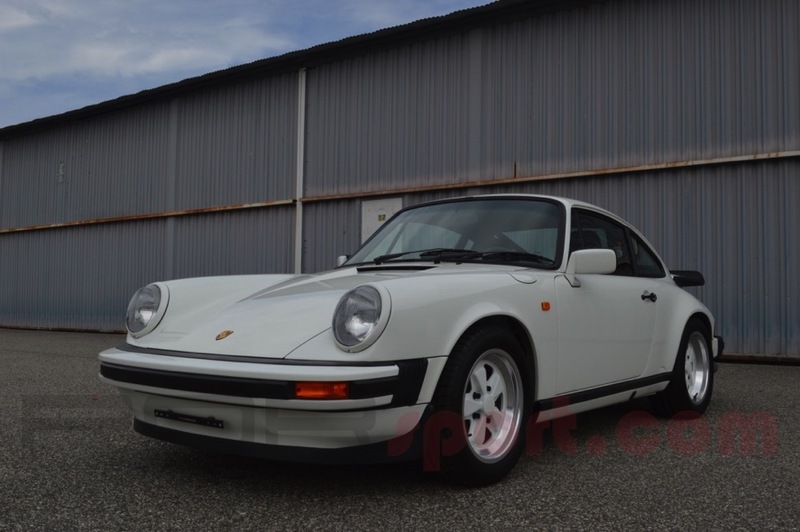 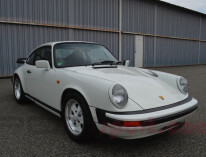 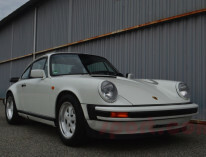 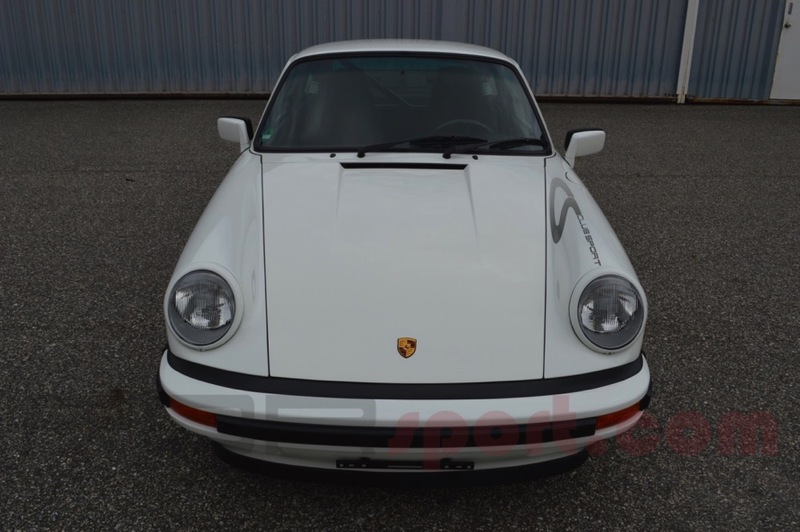 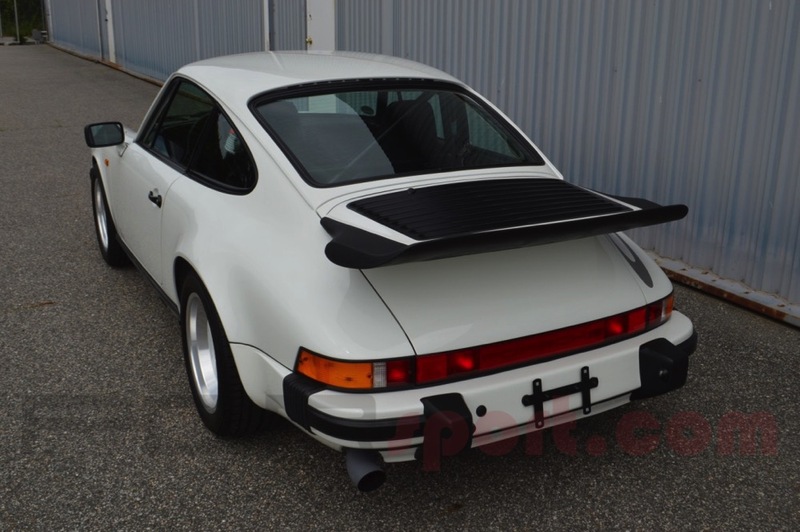 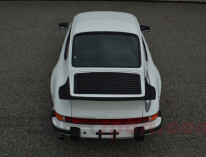 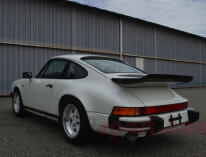 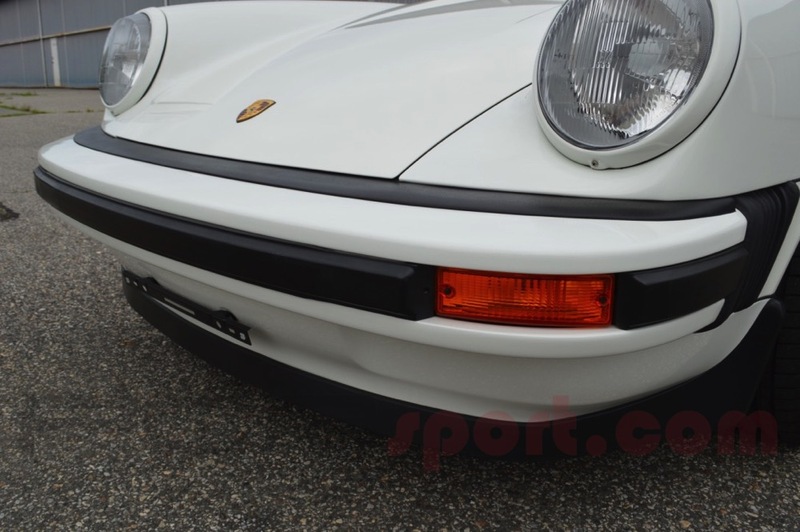 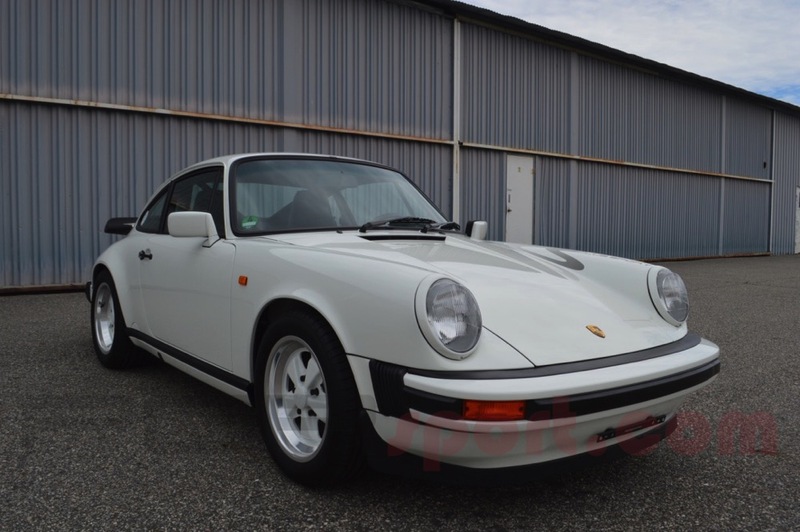 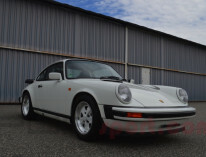 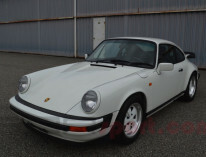 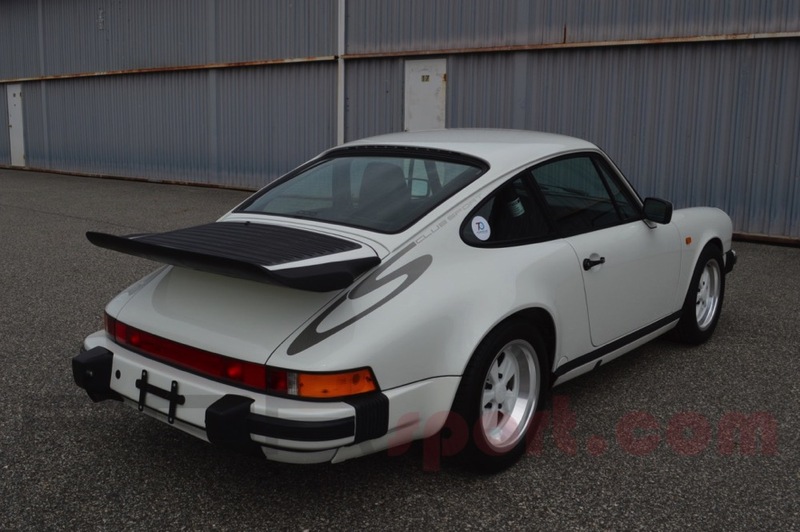 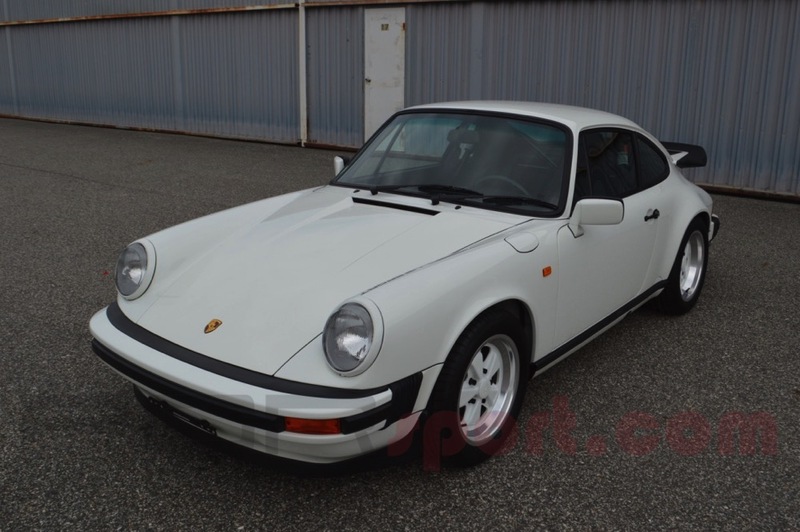 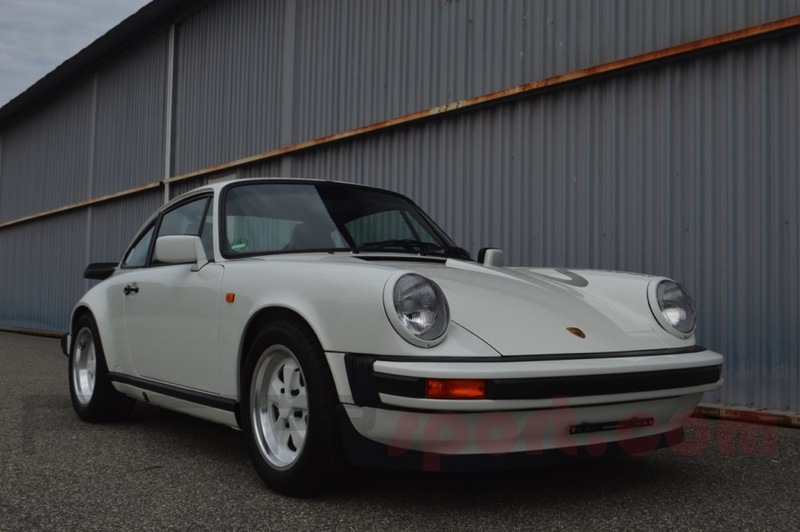 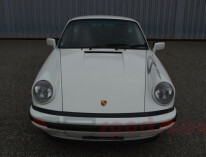 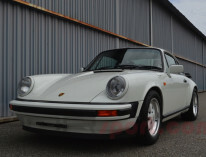 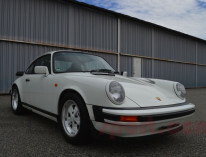 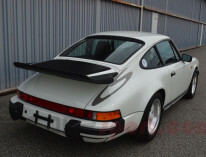 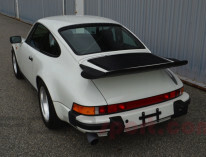 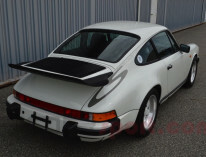 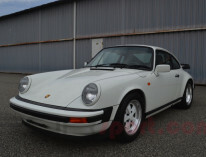 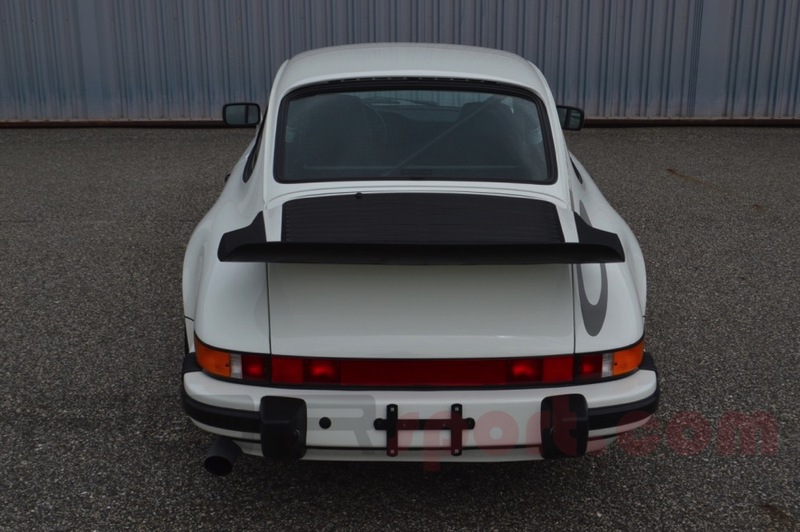 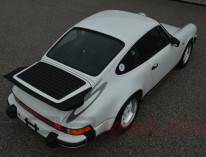 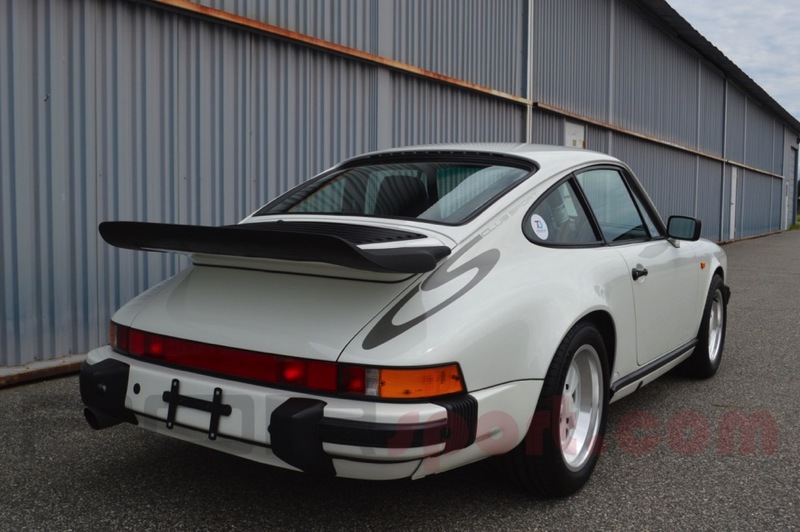 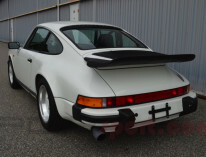 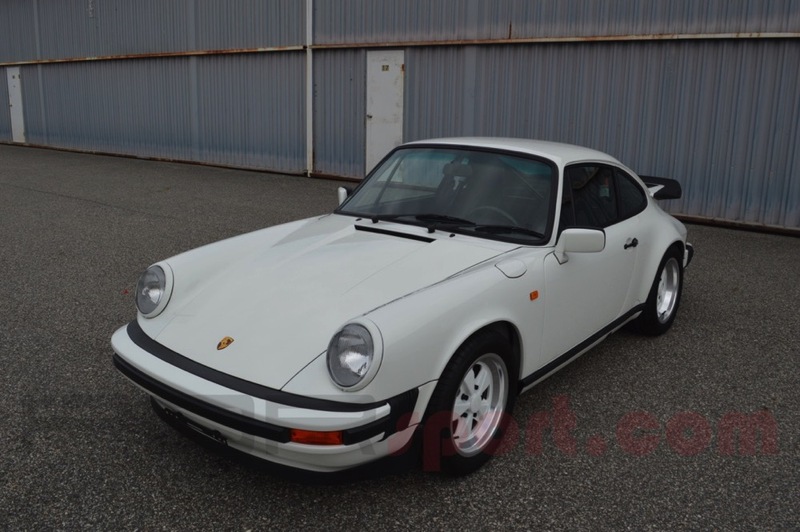 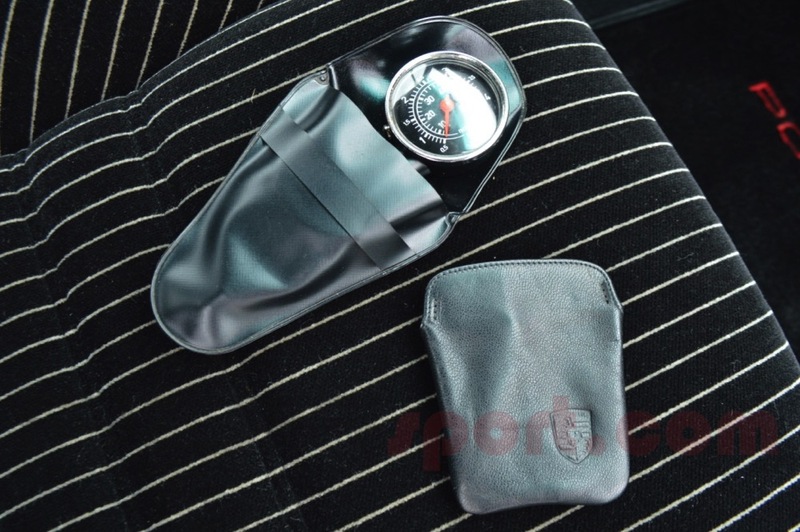 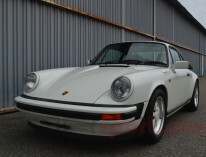 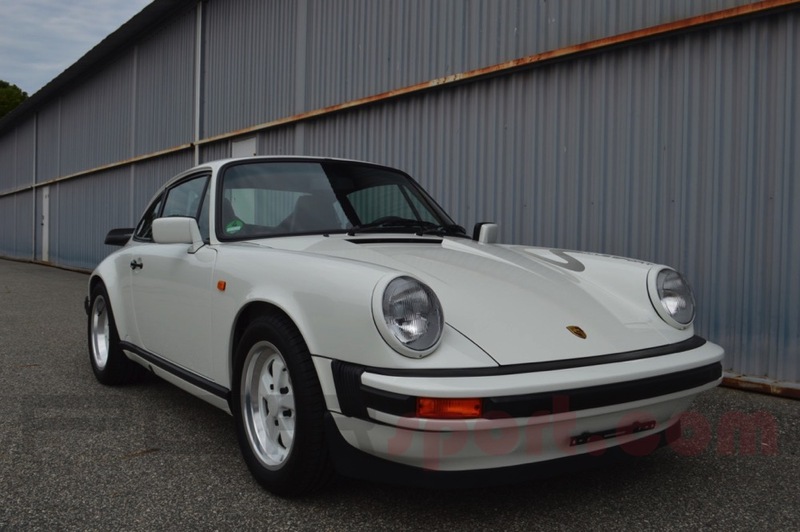 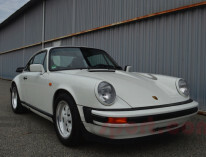 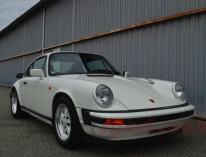 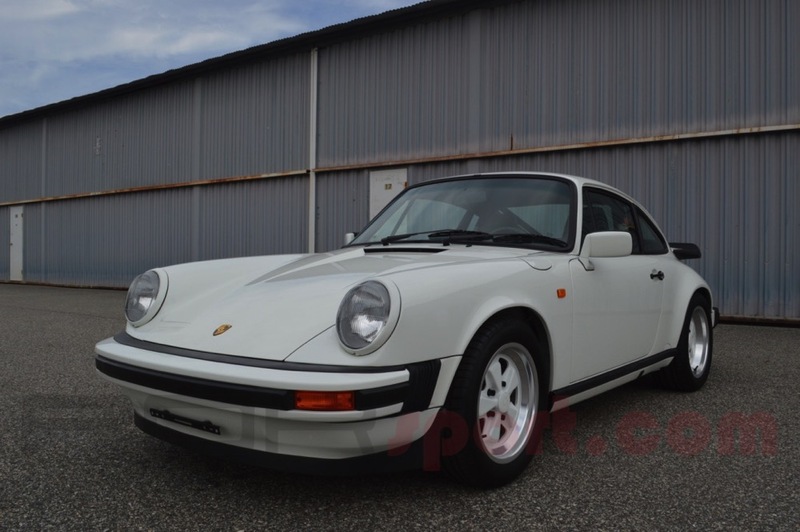 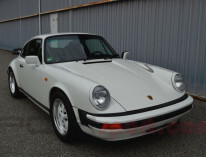 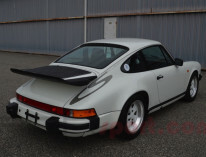 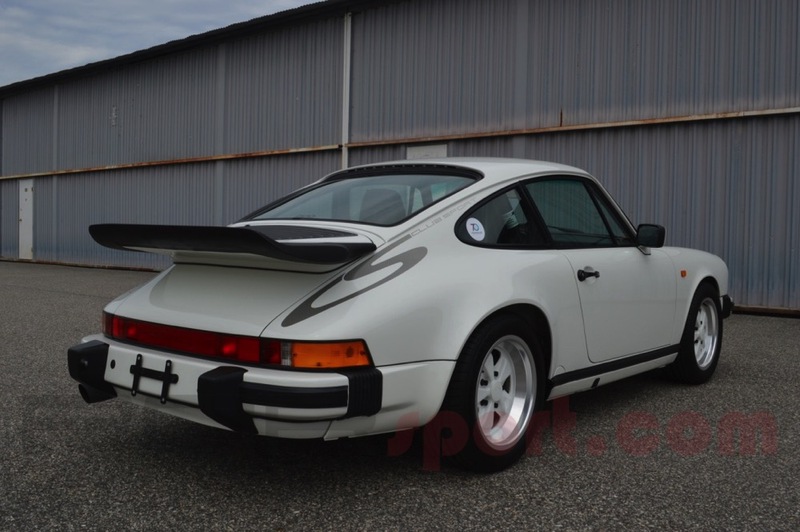 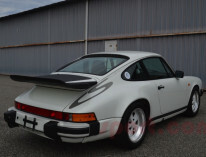 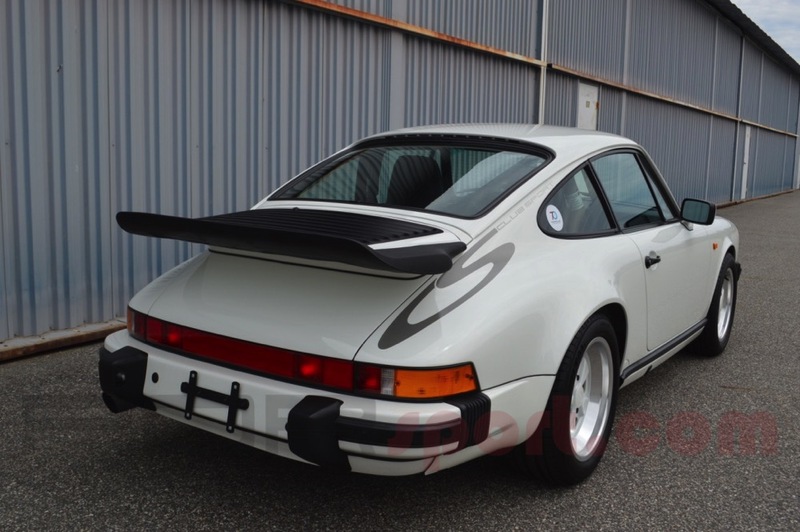 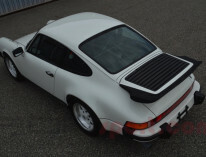 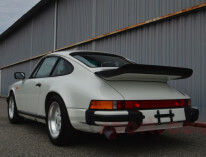 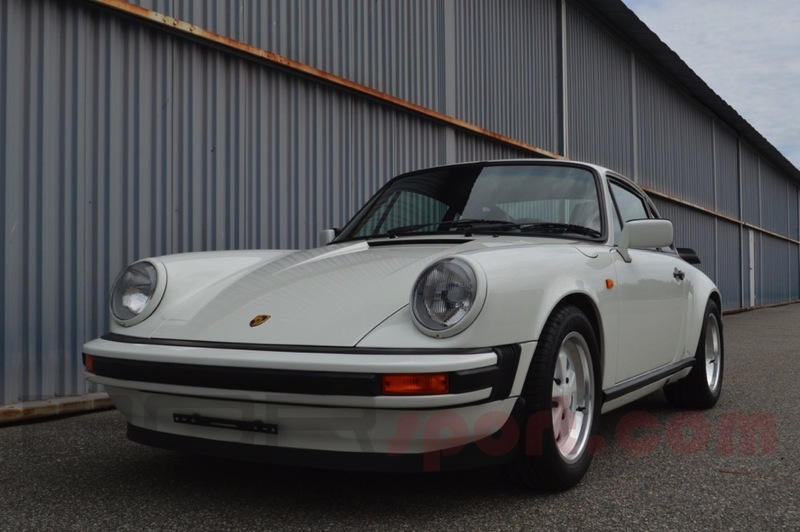 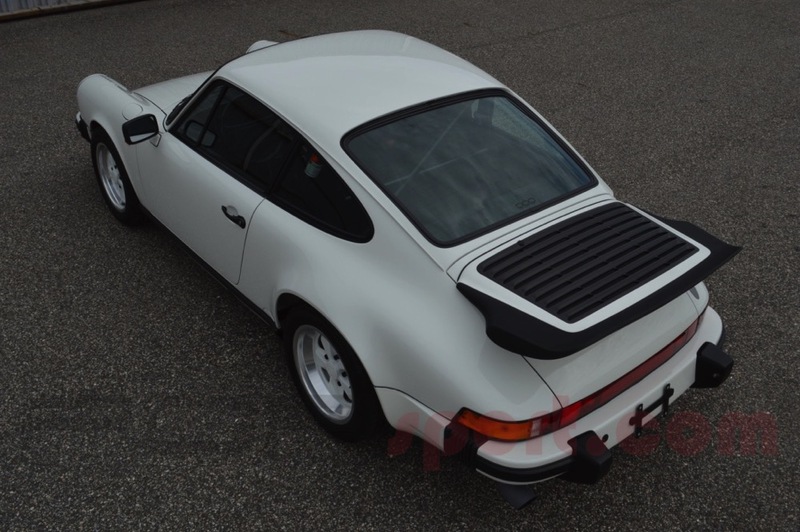 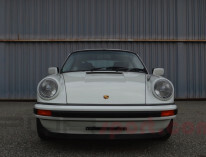 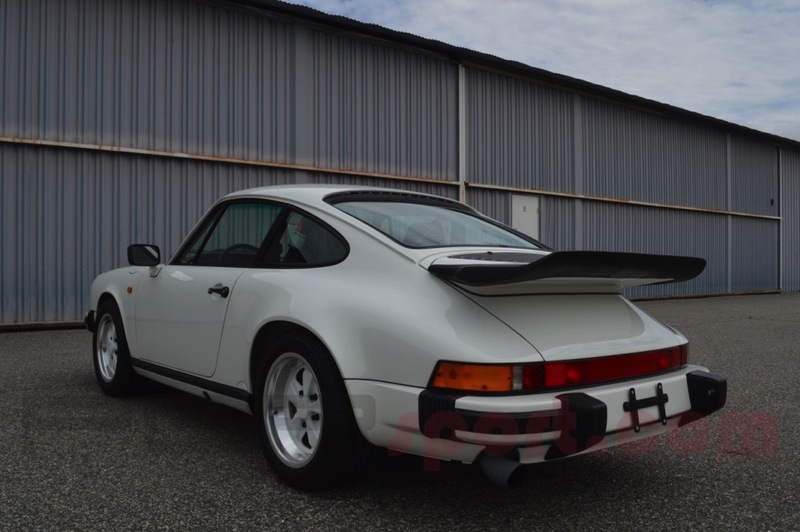 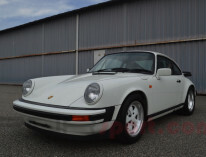 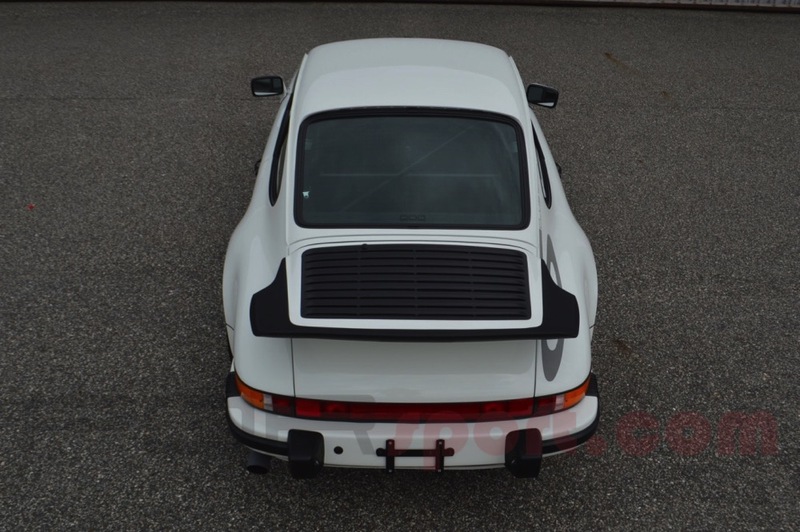 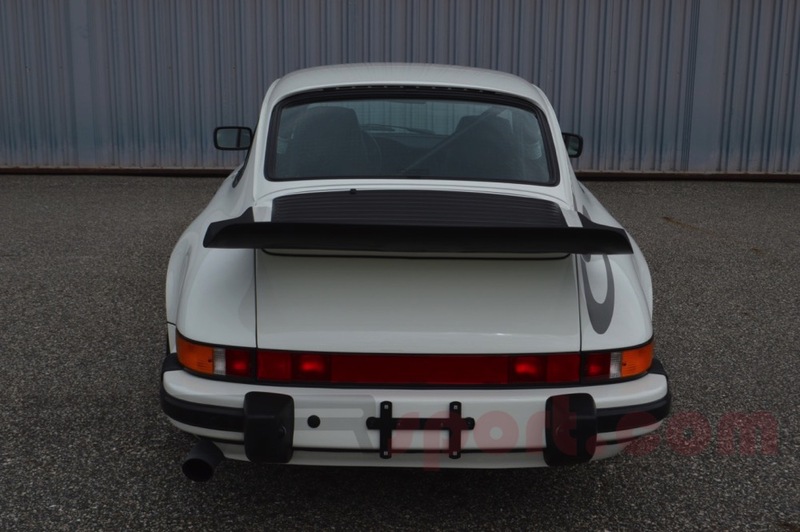 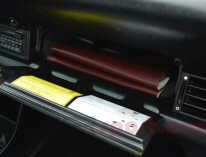 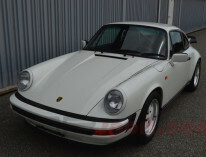 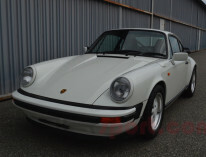 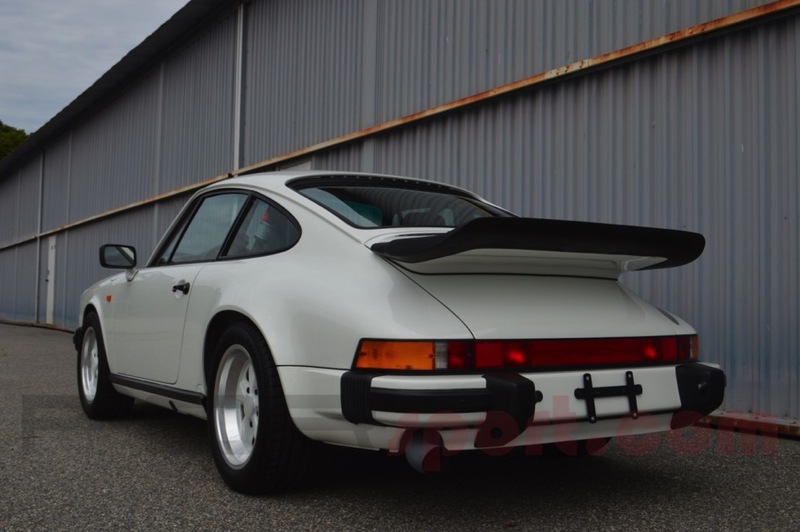 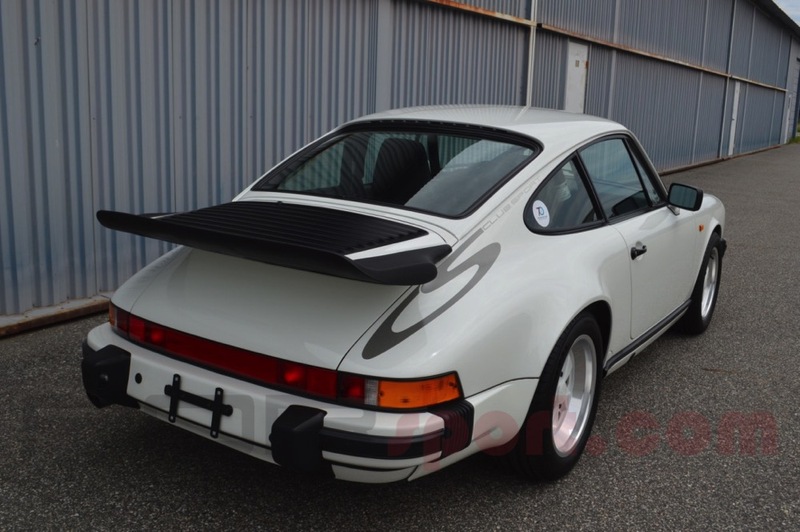 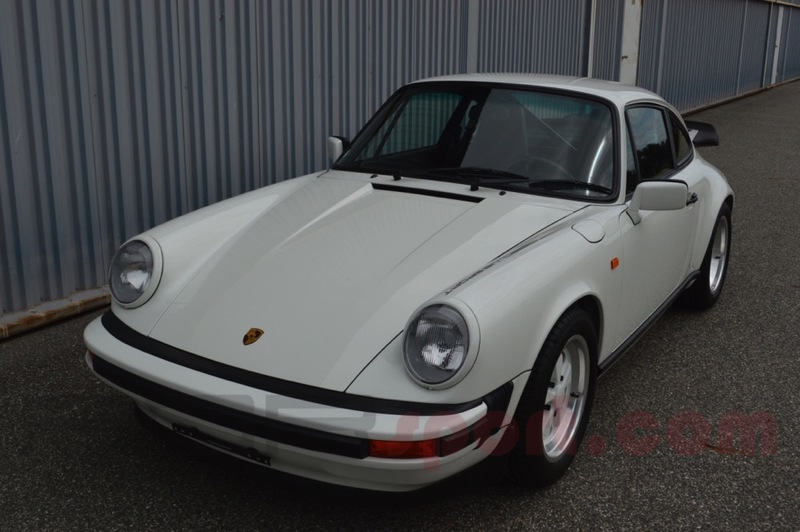 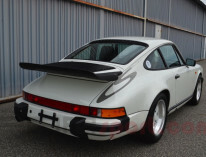 By the 1980’s the 911 had become fat with luxuries. 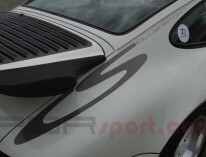 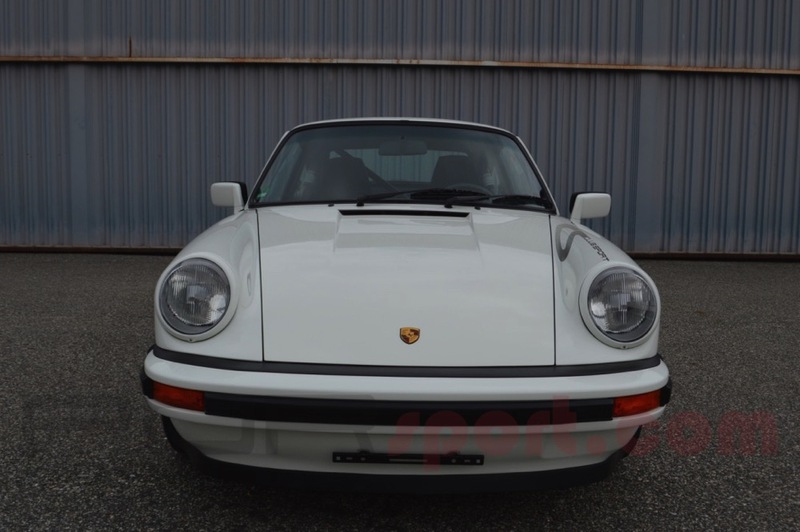 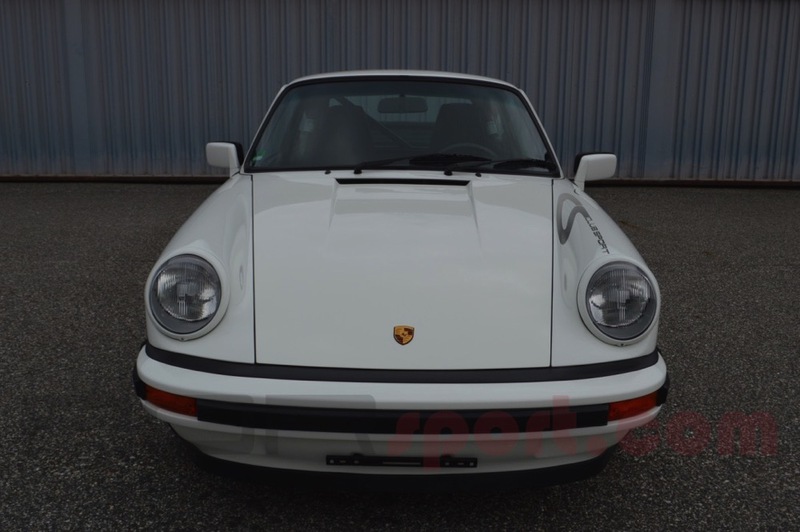 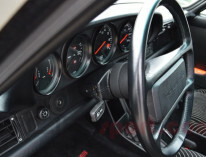 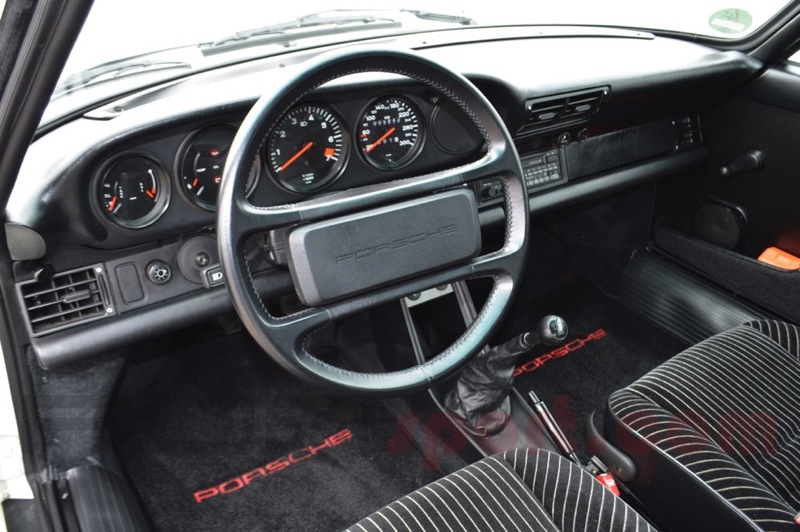 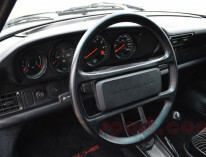 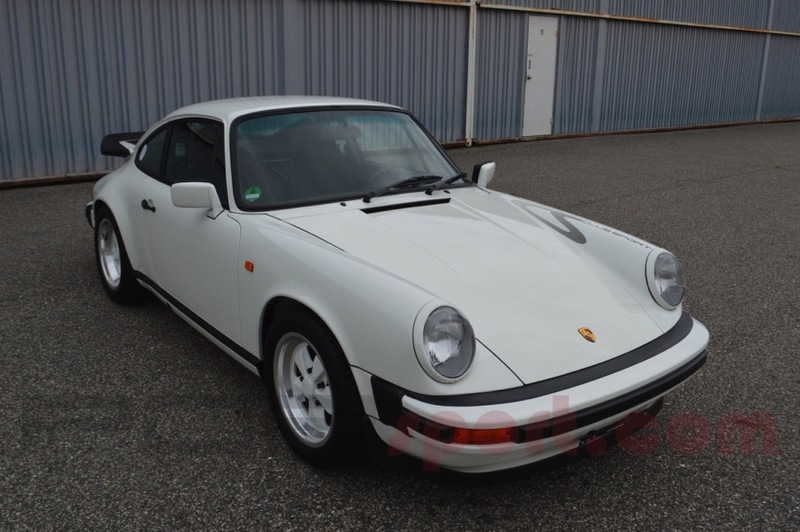 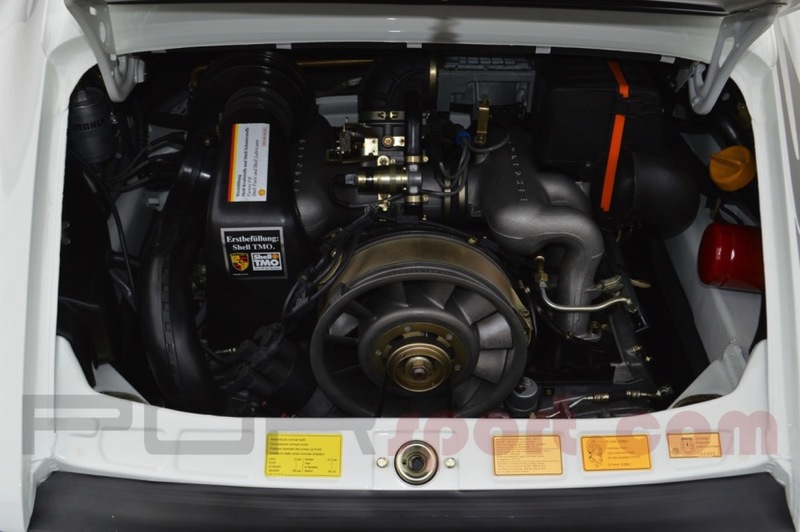 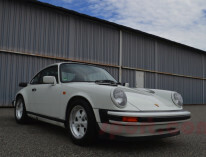 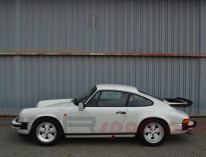 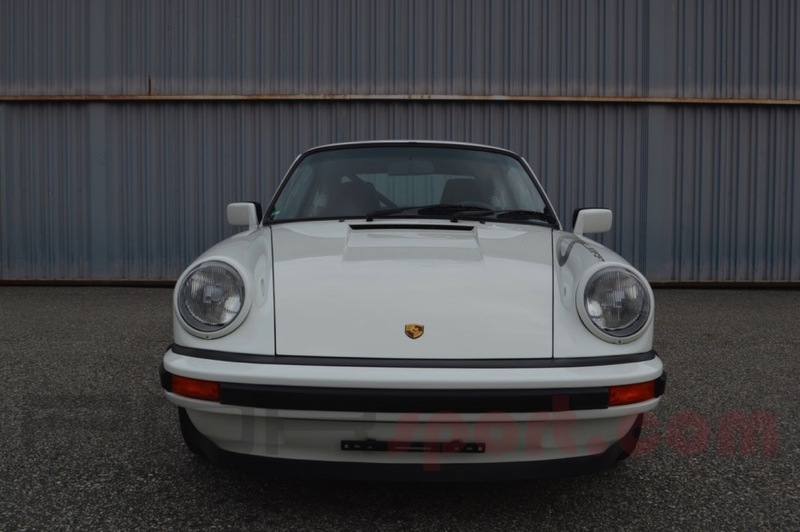 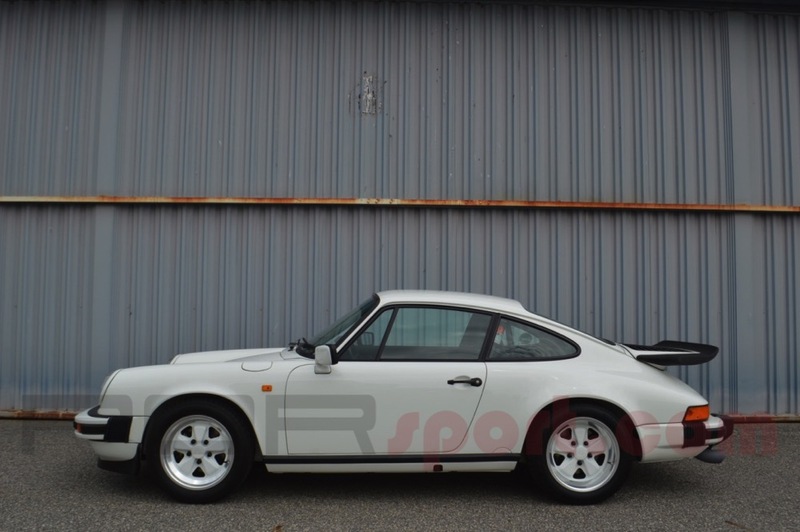 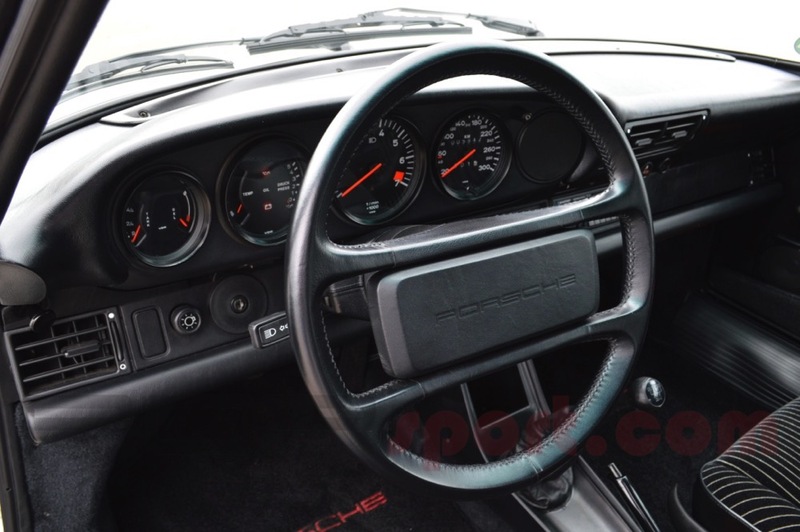 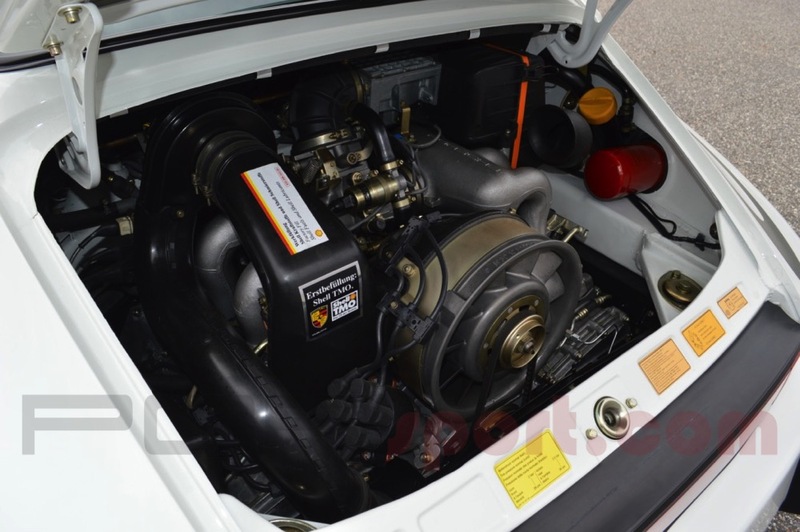 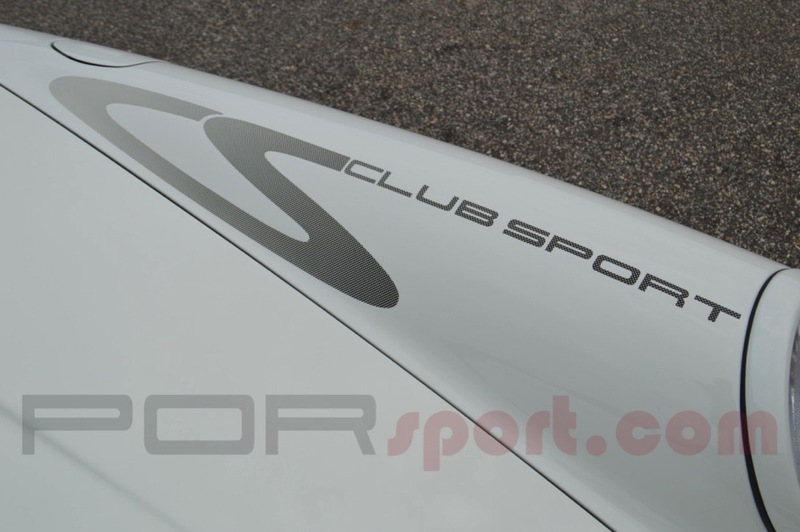 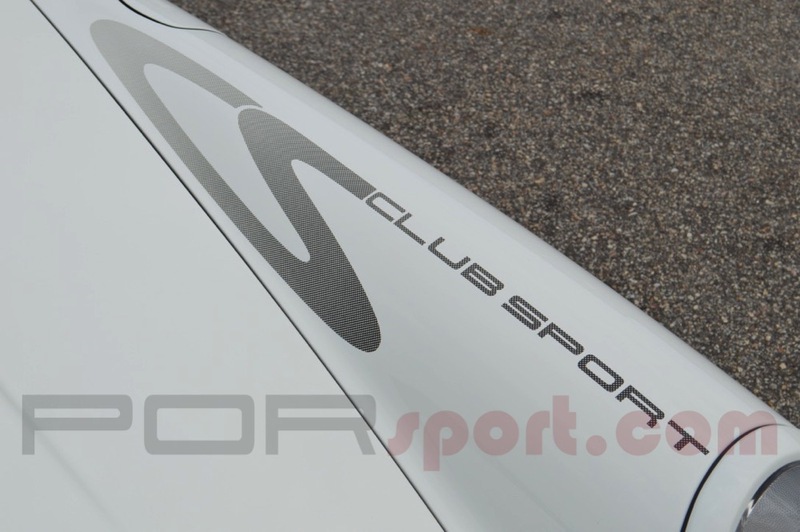 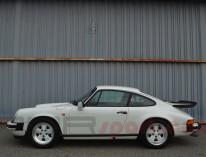 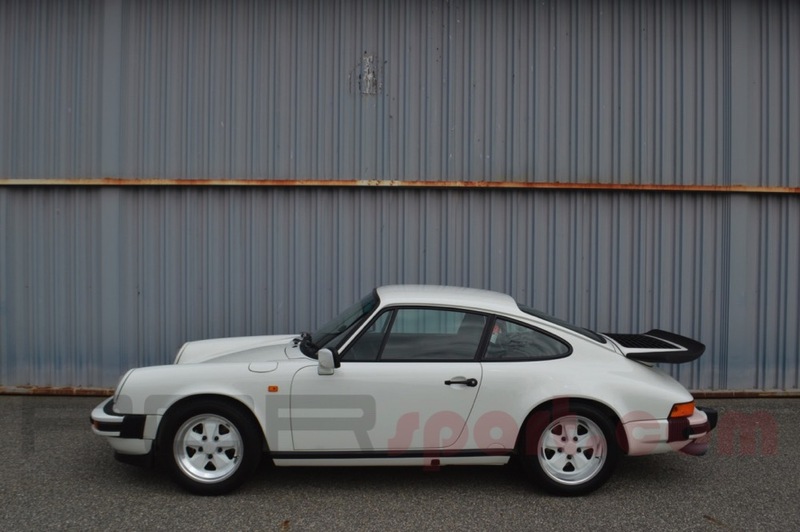 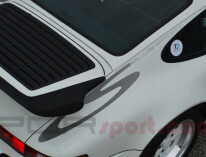 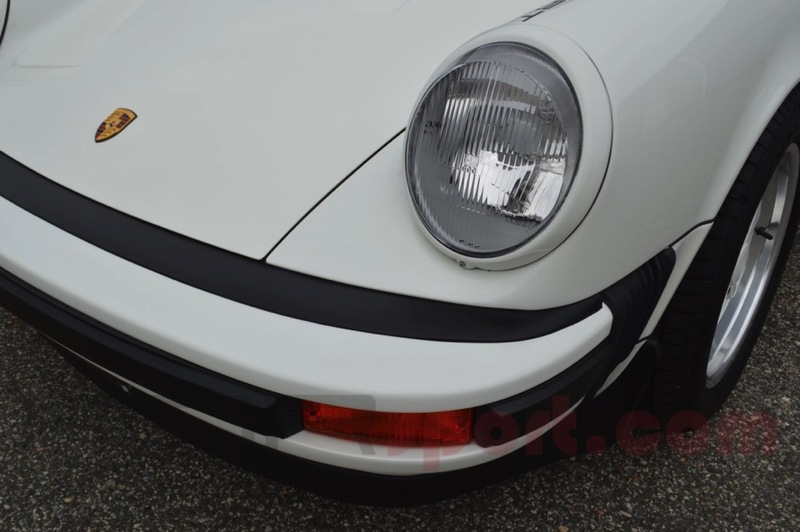 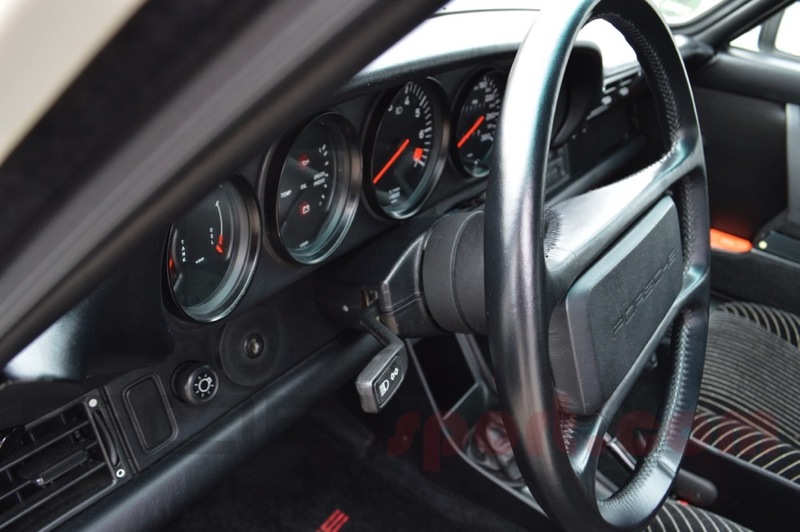 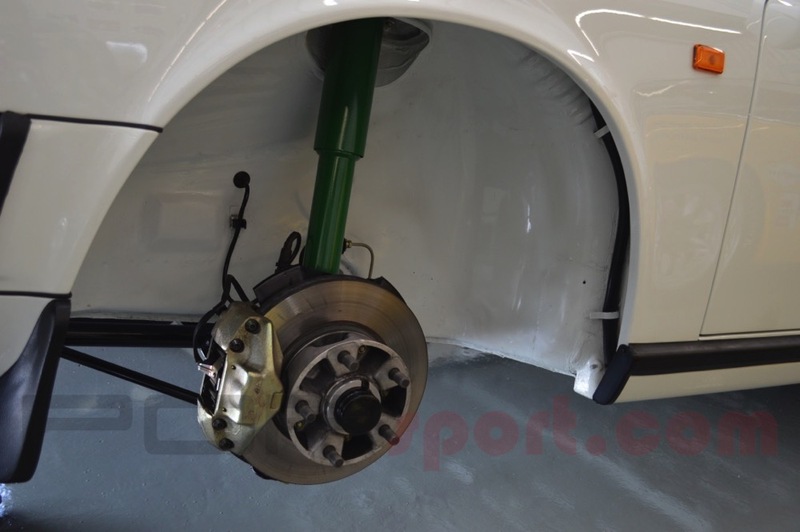 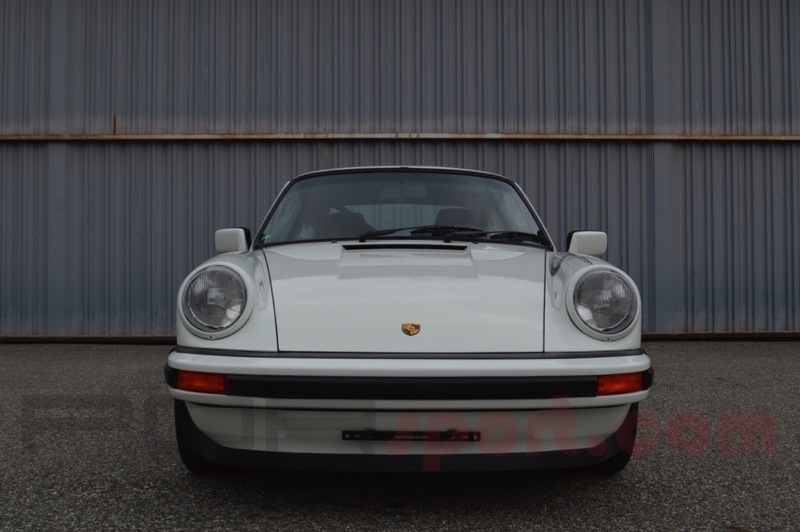 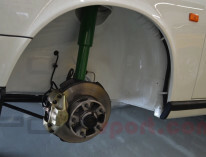 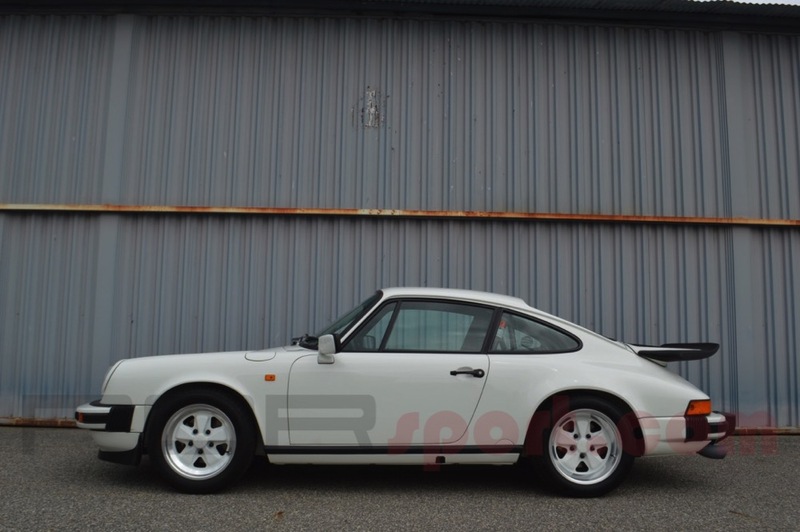 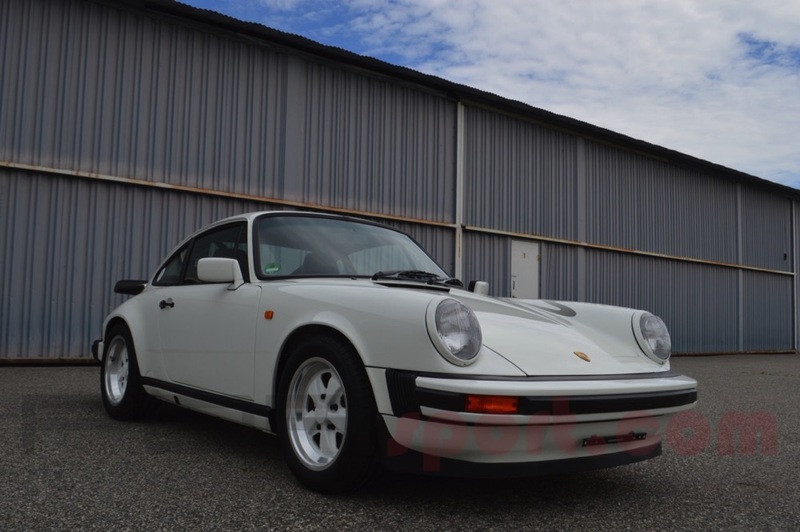 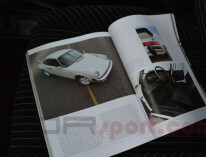 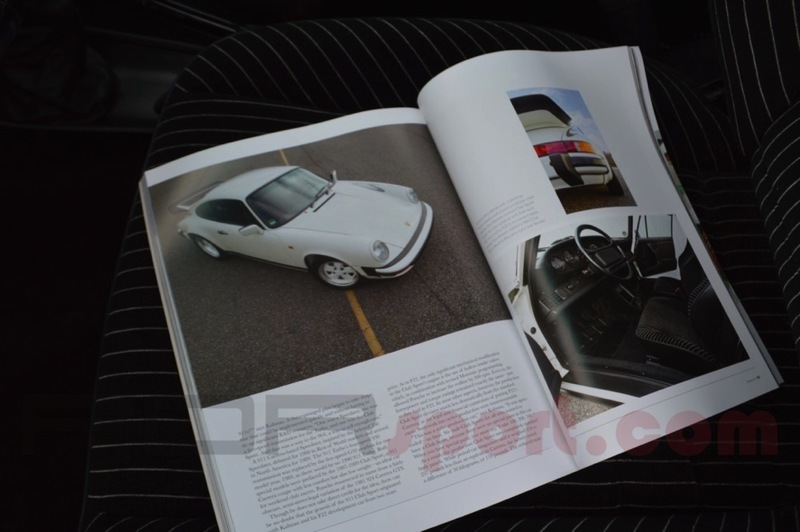 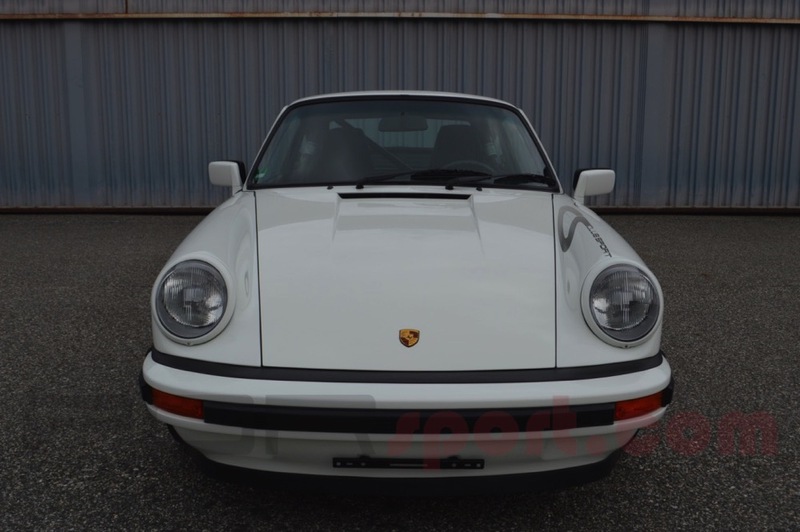 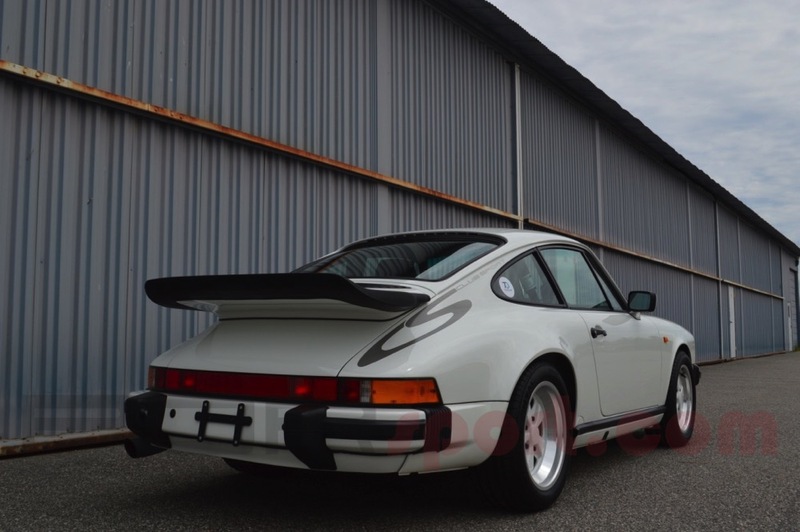 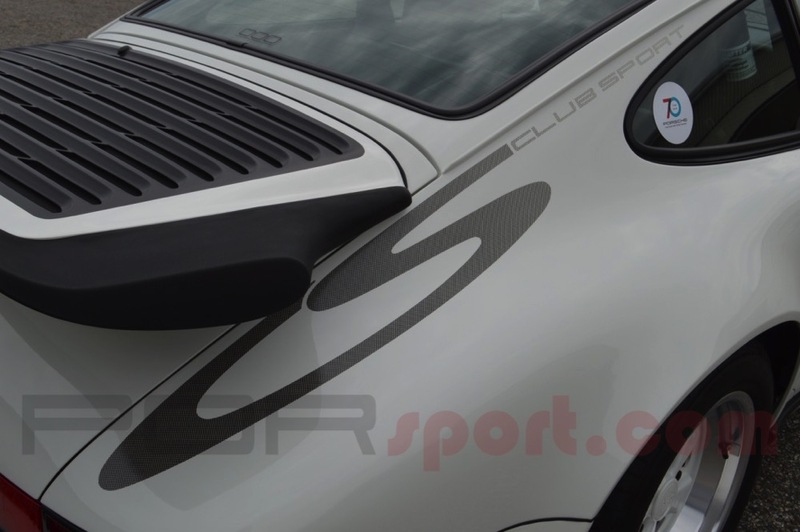 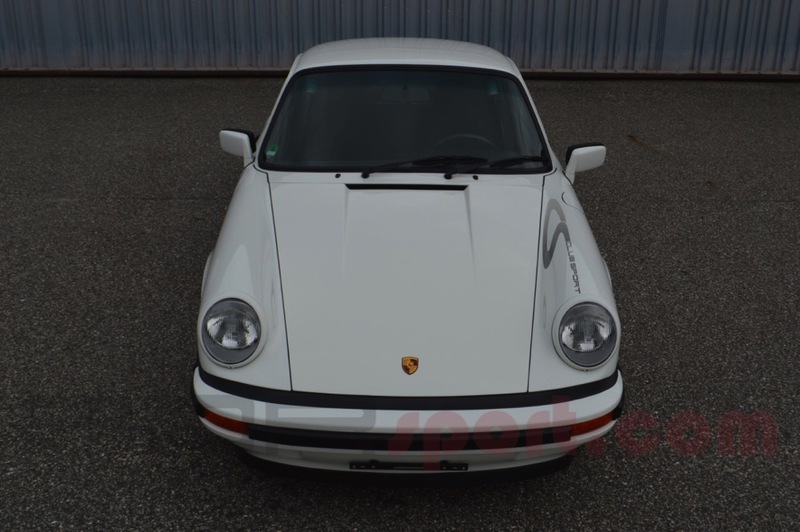 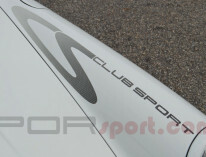 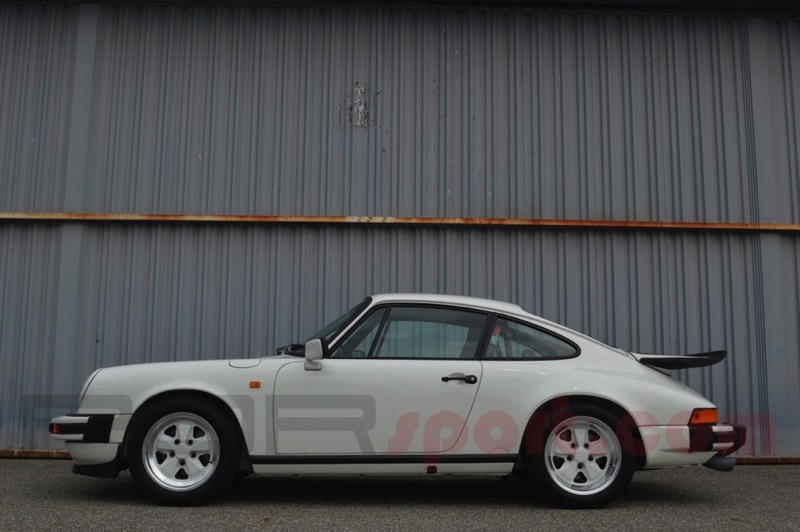 The Club Sport was Porsche’s answer for the enthusiast who desired a more back to basics 911 with the weight and performance of the original RS concept. 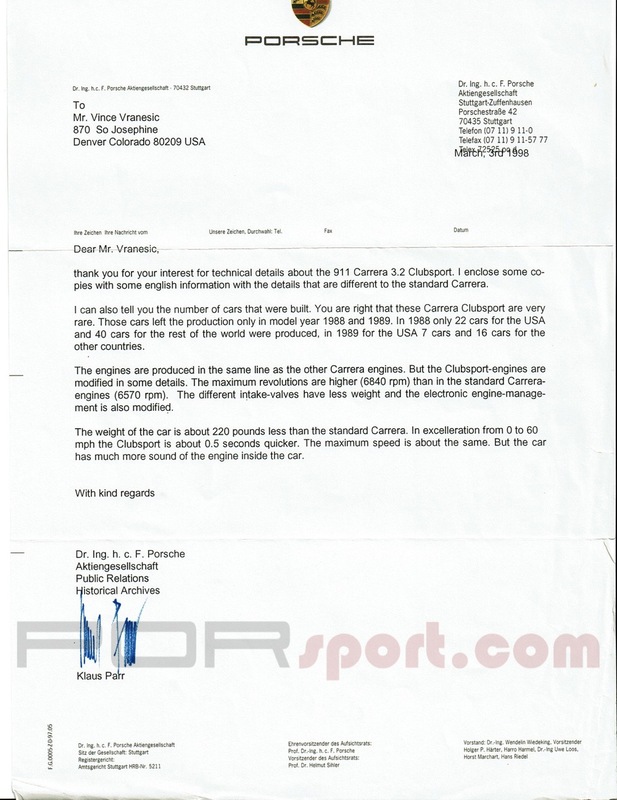 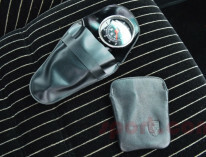 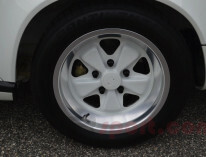 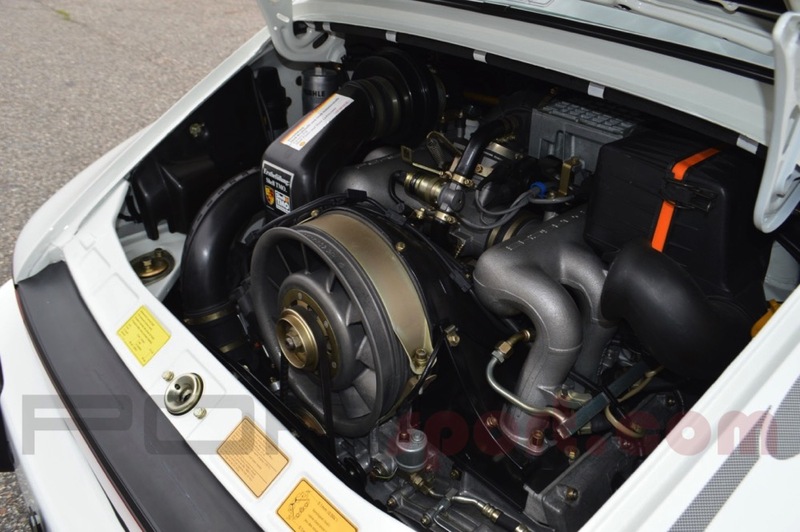 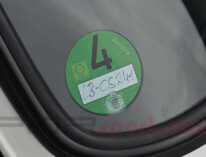 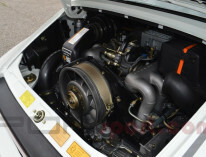 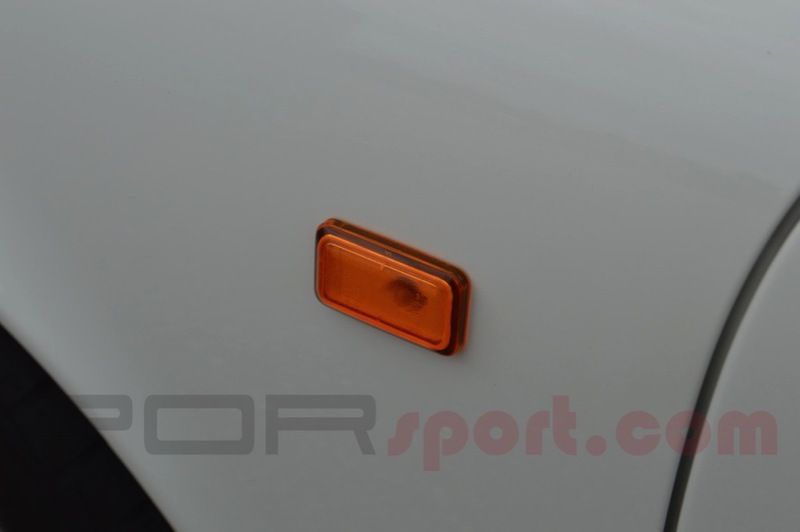 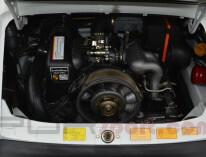 The European examples are the lightest and purest of the breed with no undercoating and higher horsepower engines. 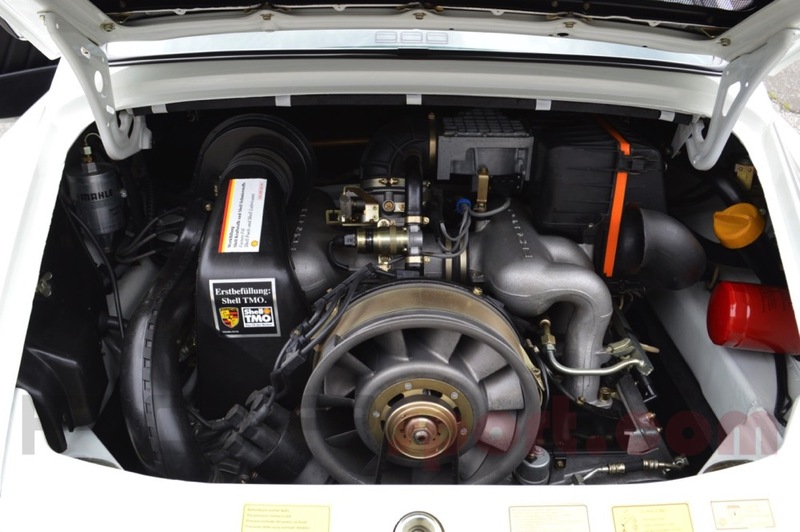 At only 2,600 pounds the performance is surprising. 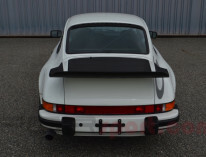 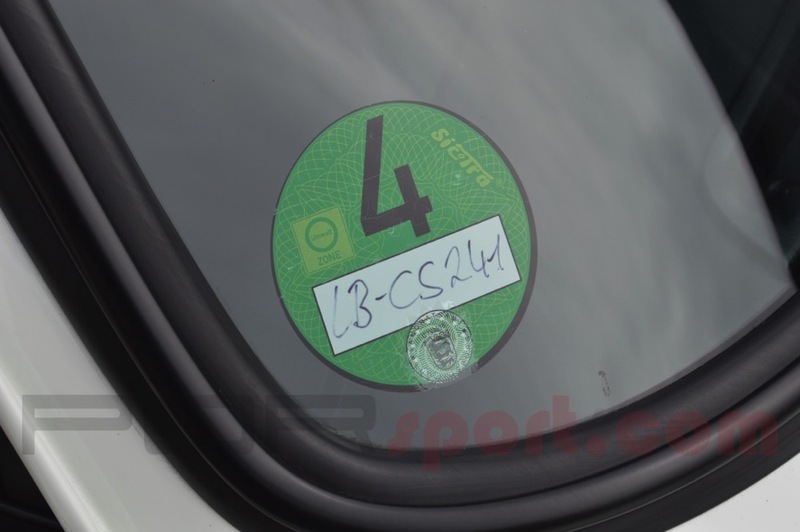 I imported this outstanding example from Germany in 2013 and then set out to make the car as perfect as possible without regard to cost. 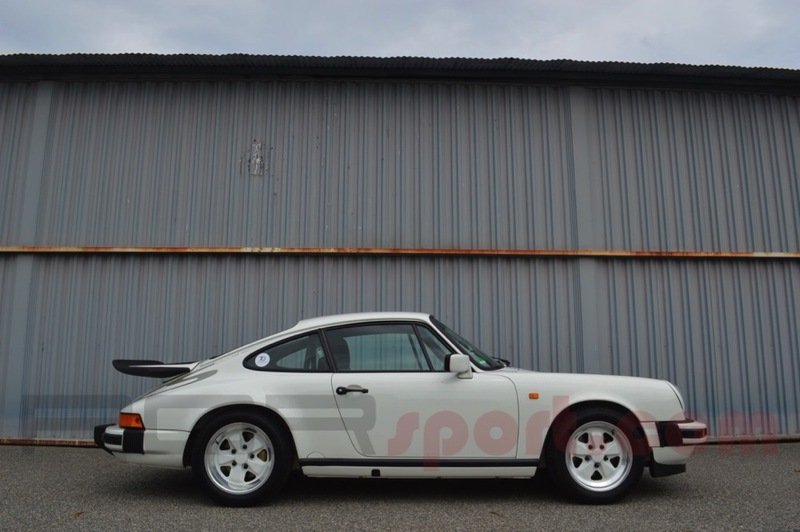 The end result is a full concours quality, as new 1988 Club sport that has been a multiple award winner and 000 Feature car. 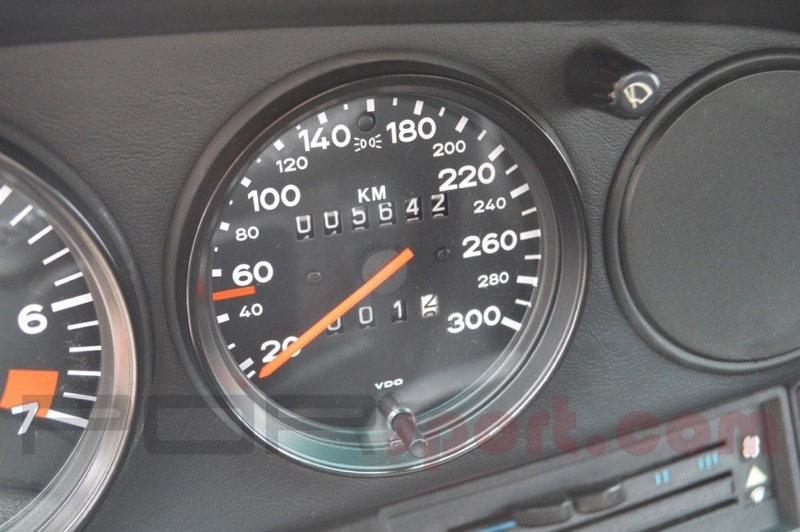 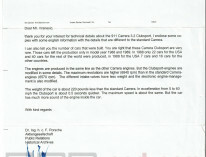 Less than 6,000 kms. 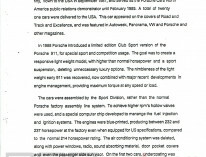 "Purest Form" by Reinhard Seiffert. 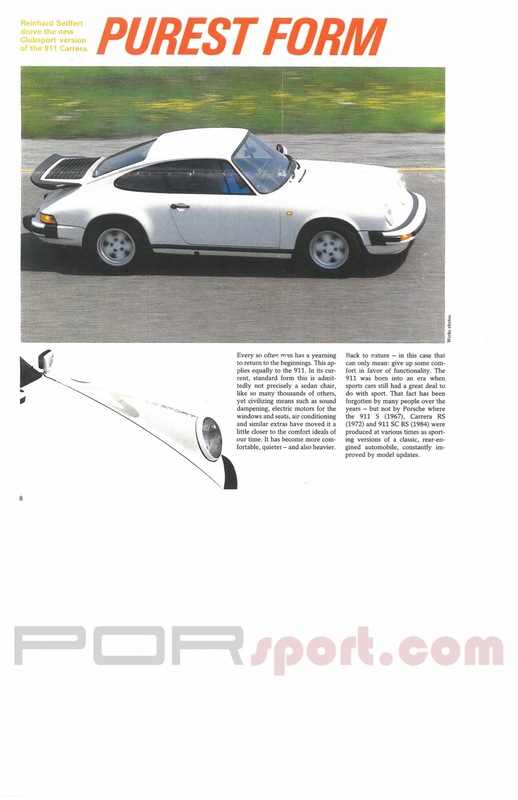 Christophorus Magazine, 1987.